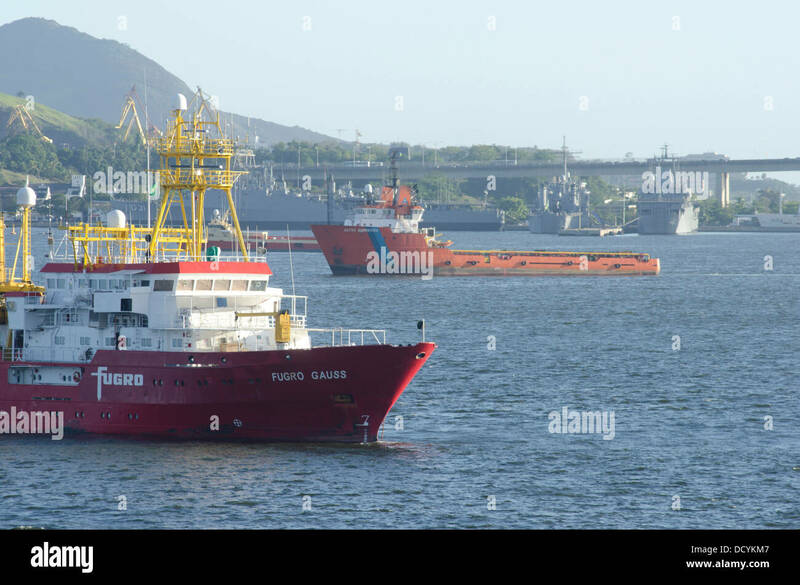 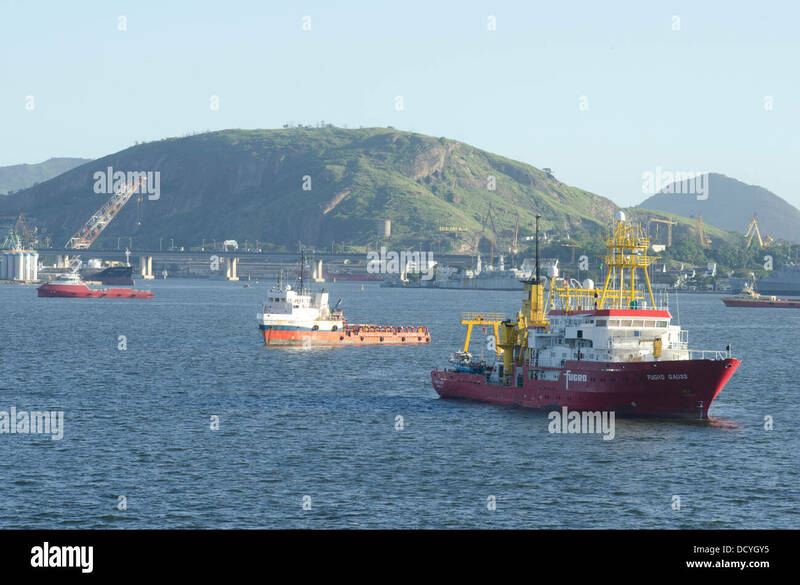 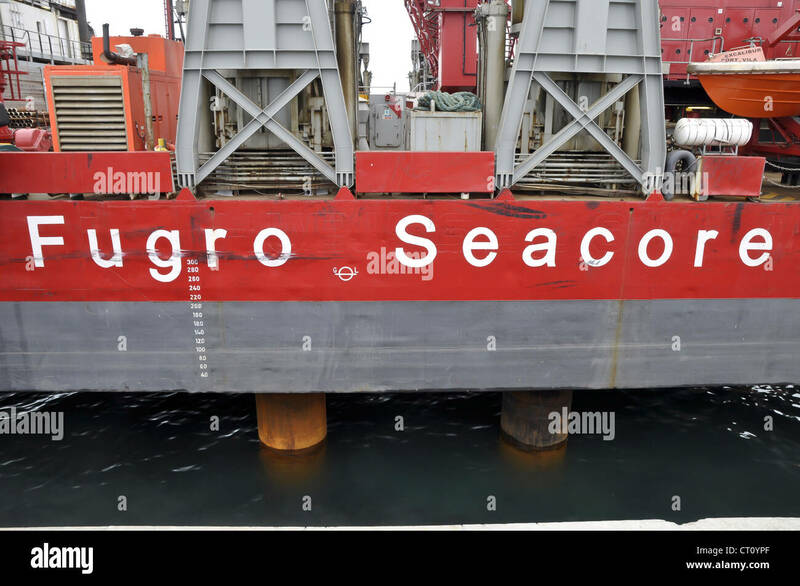 Fugro Aquarius ROV deep water offshore vessel built and moored at Wilson sons shipyard in Guarujá city, SP, Brazil. 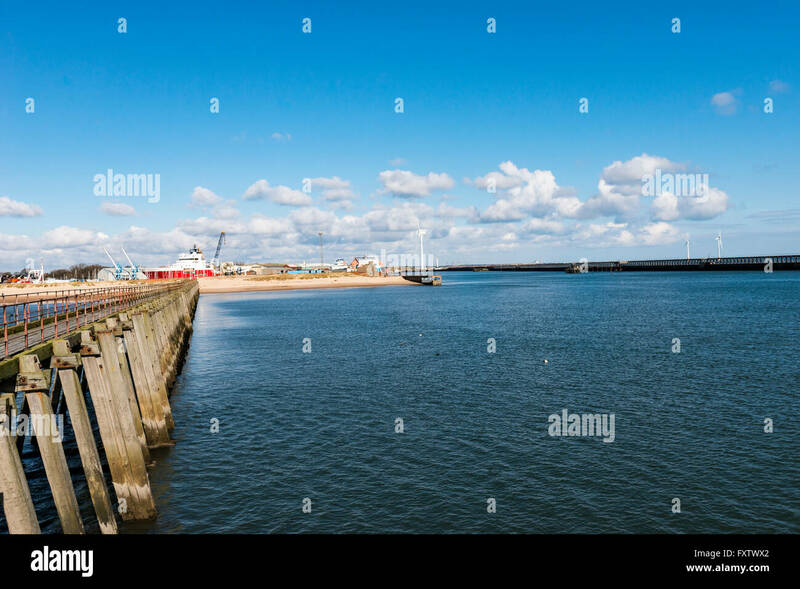 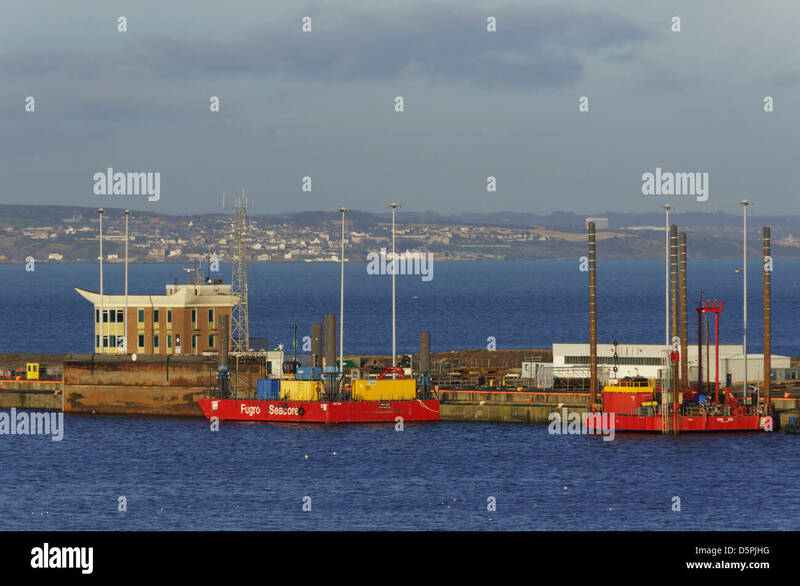 Montrose, Scotland, UK. 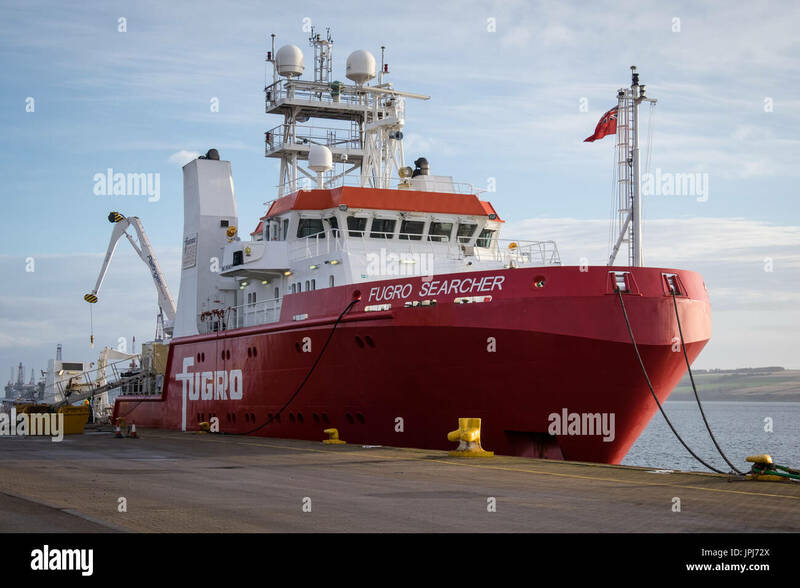 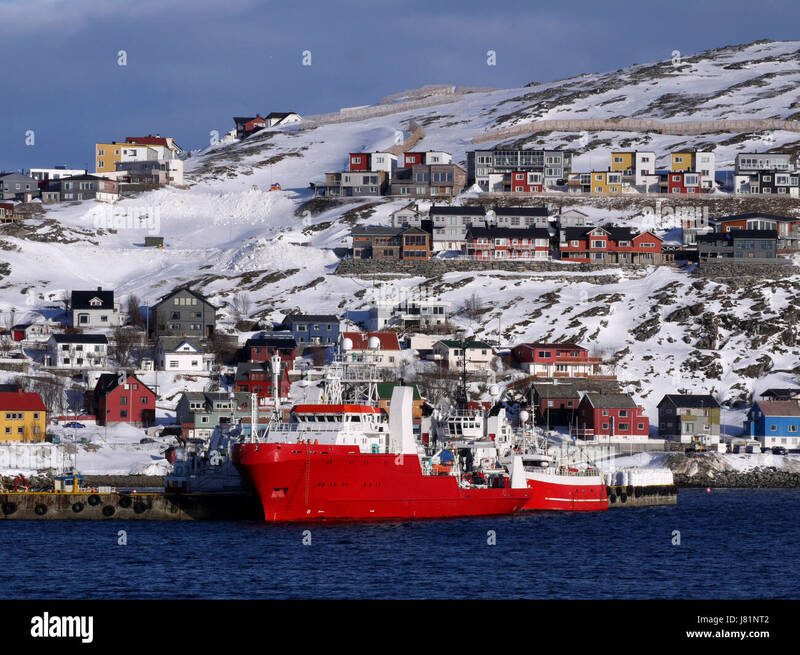 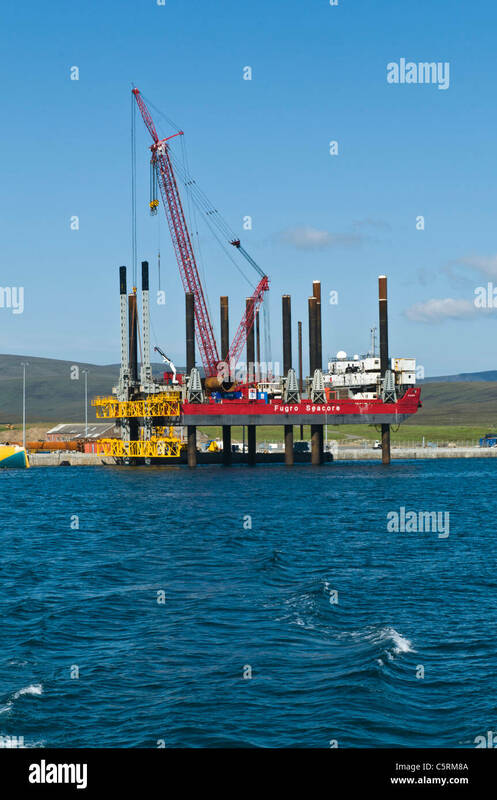 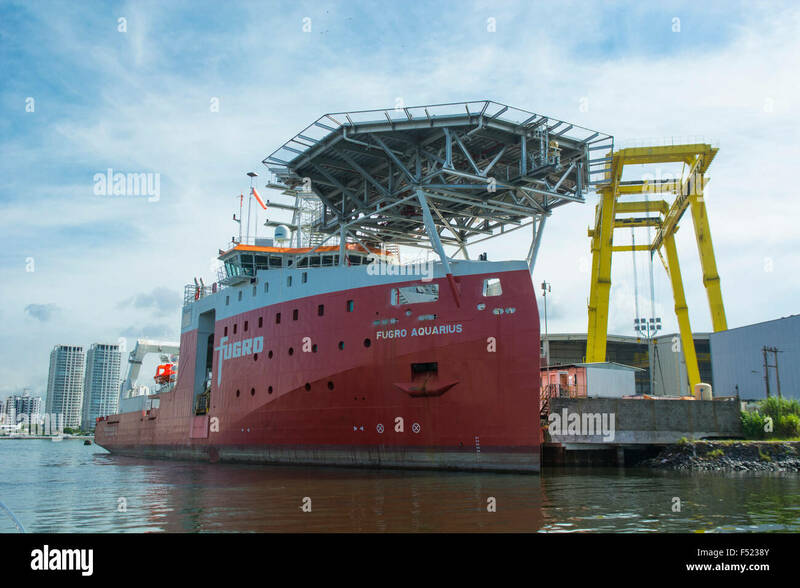 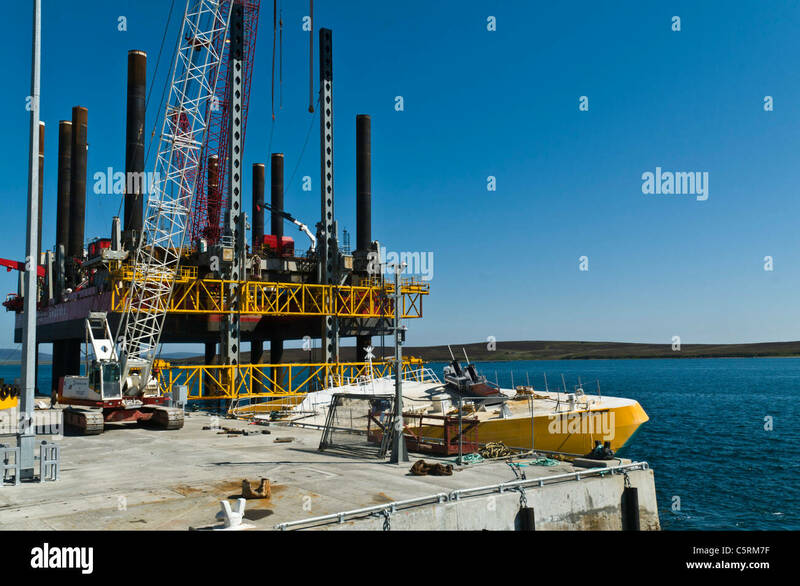 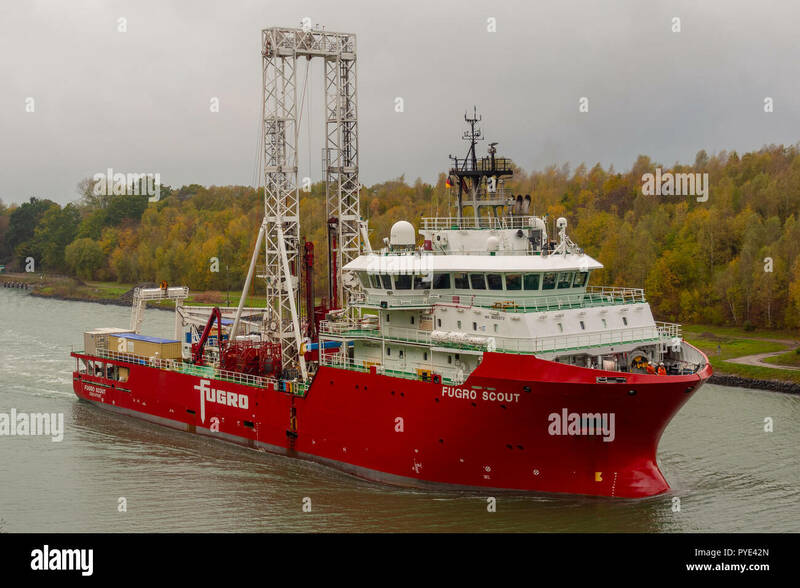 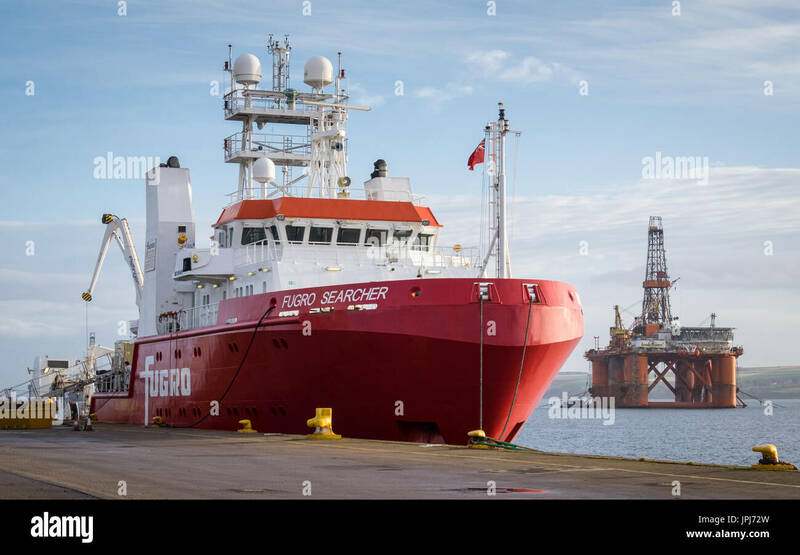 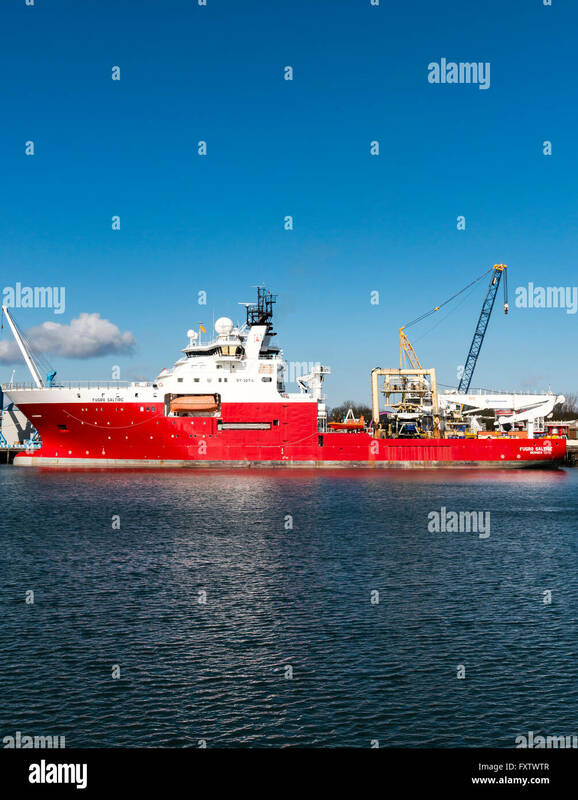 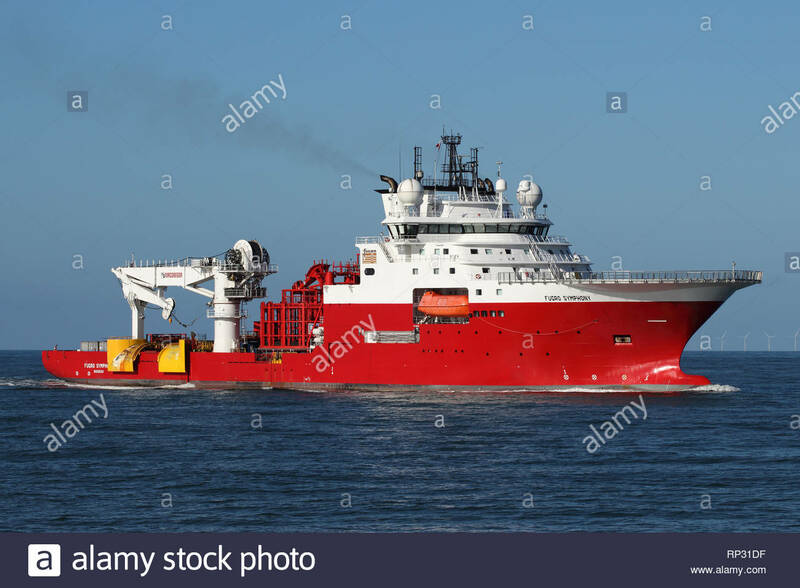 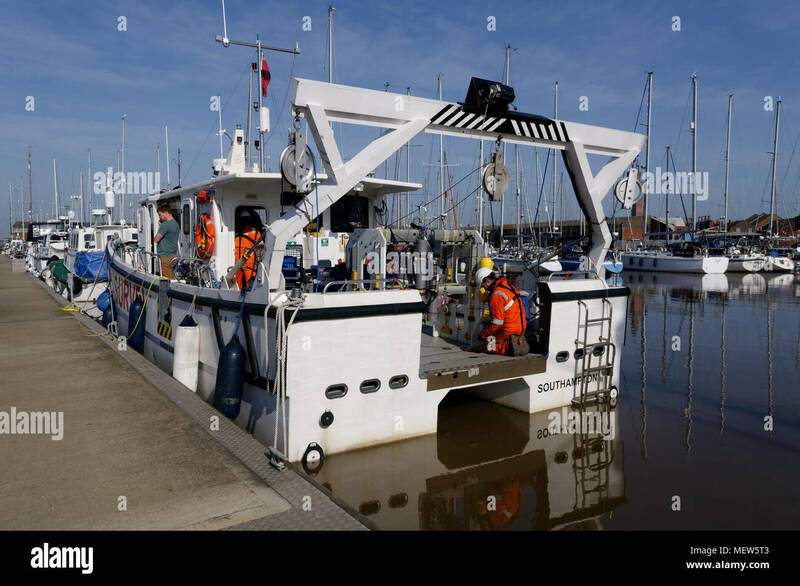 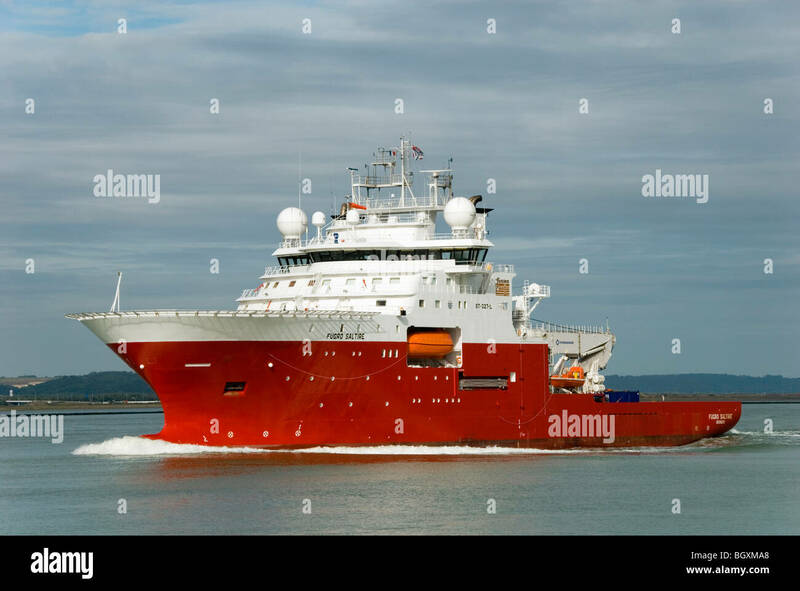 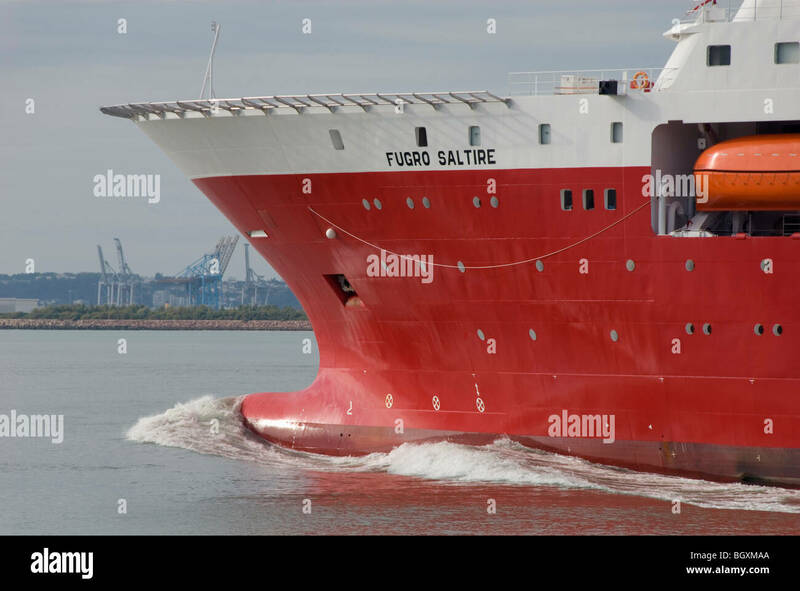 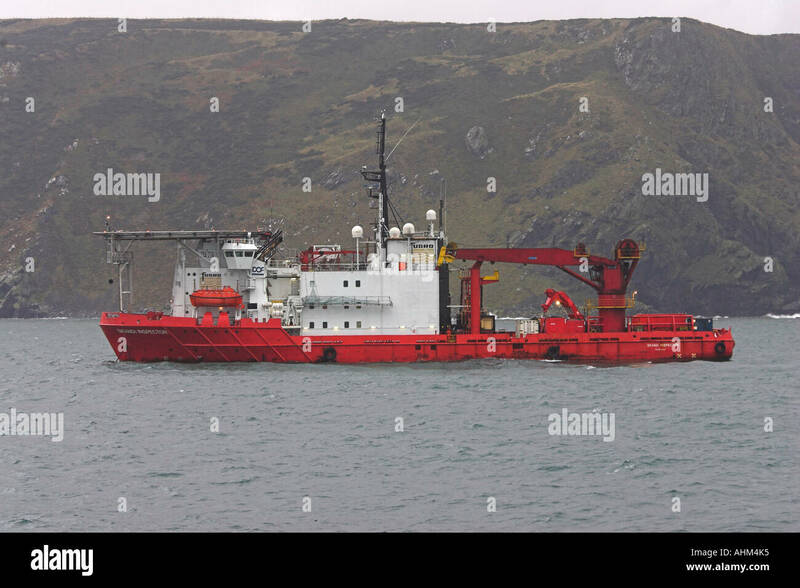 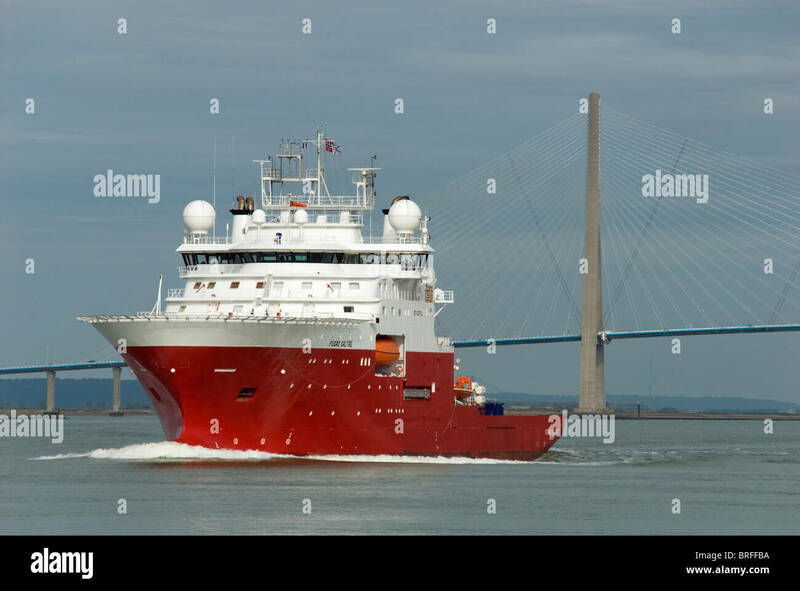 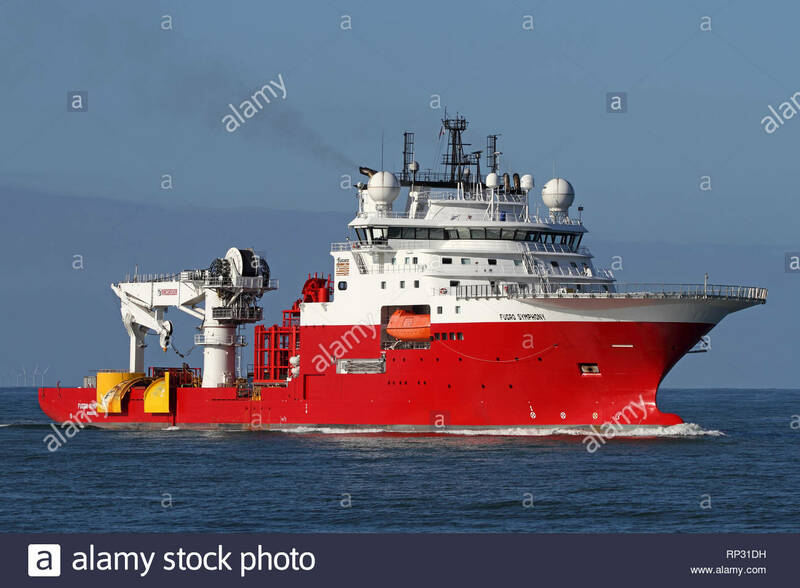 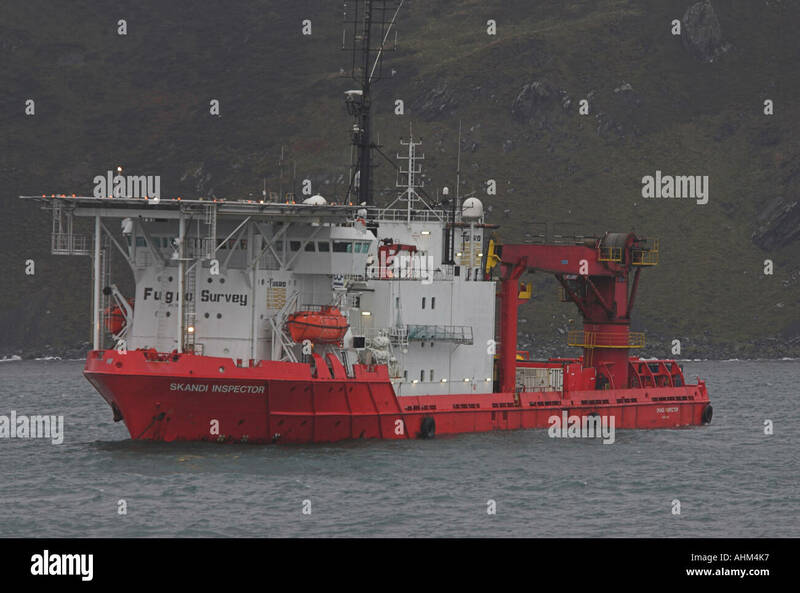 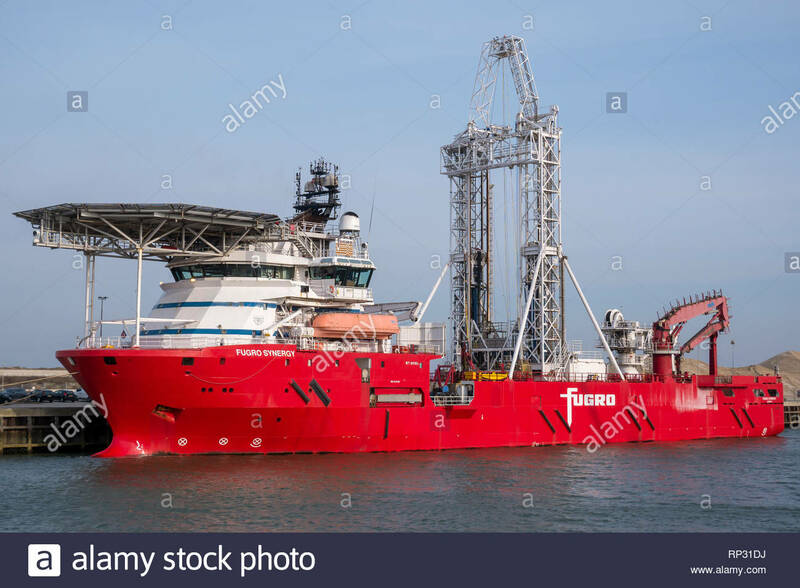 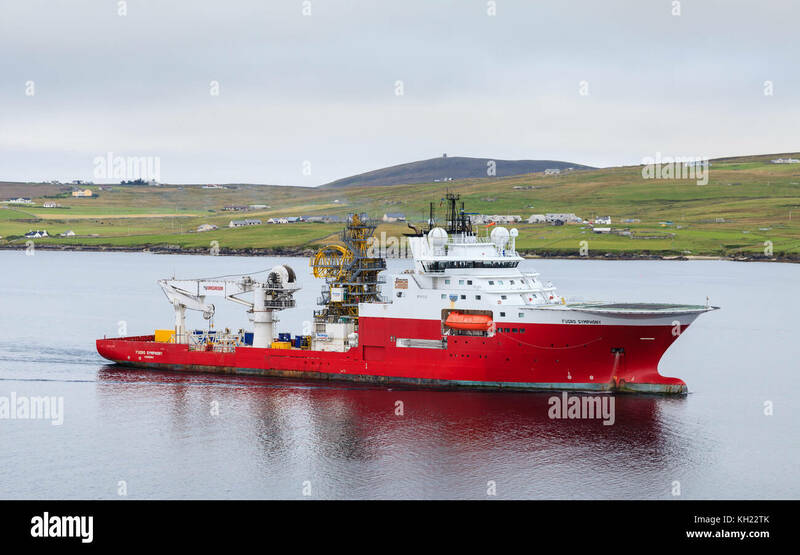 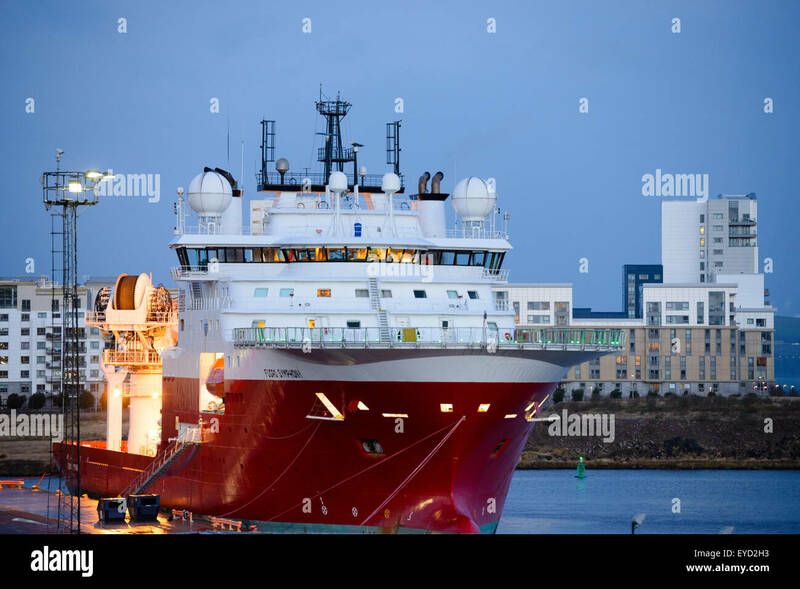 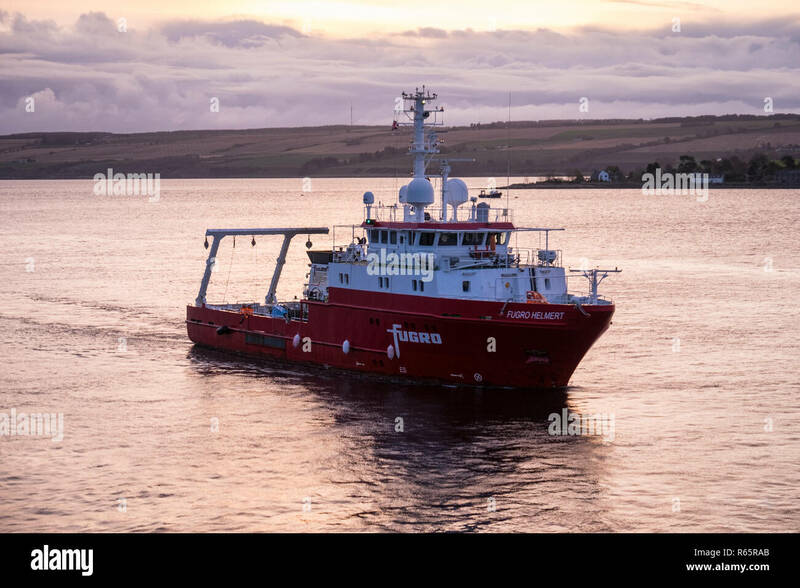 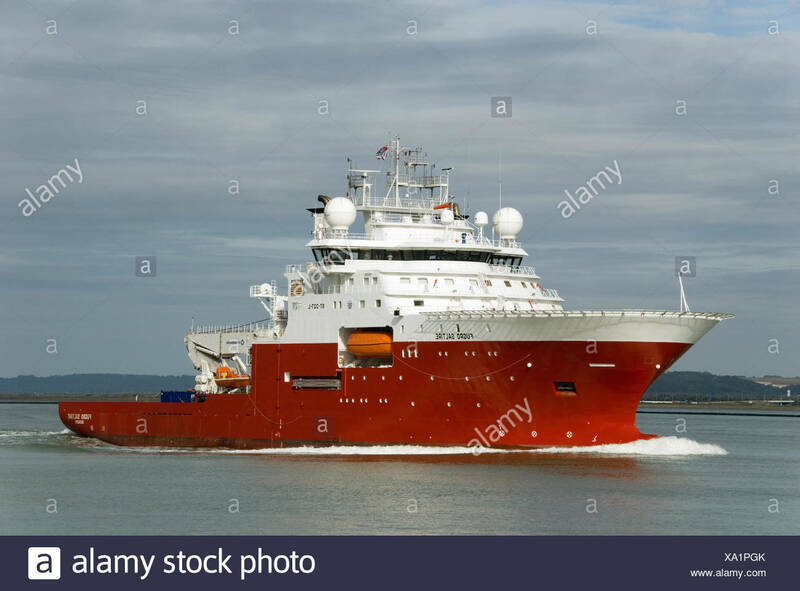 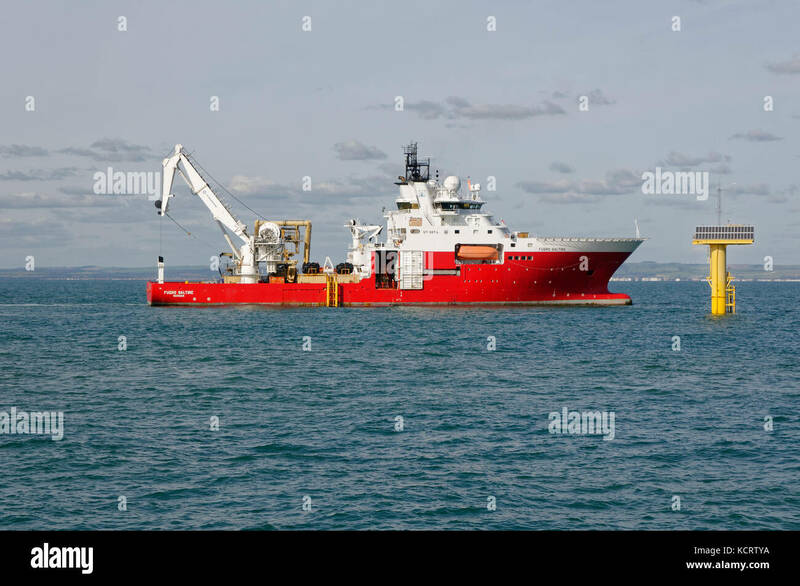 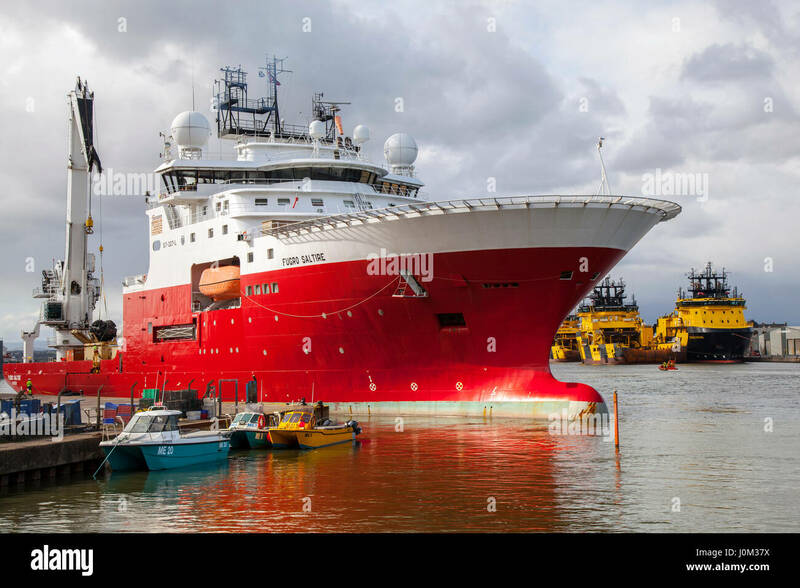 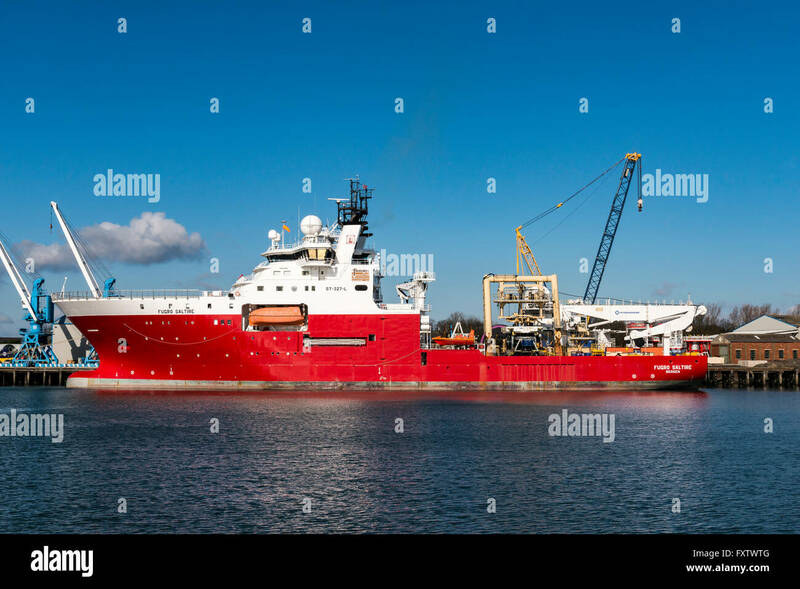 Fugro Saltire is a purpose-built, deepwater ROV vessel, designed to meet predicted future demands of the trenching, remote intervention, construction and survey markets. 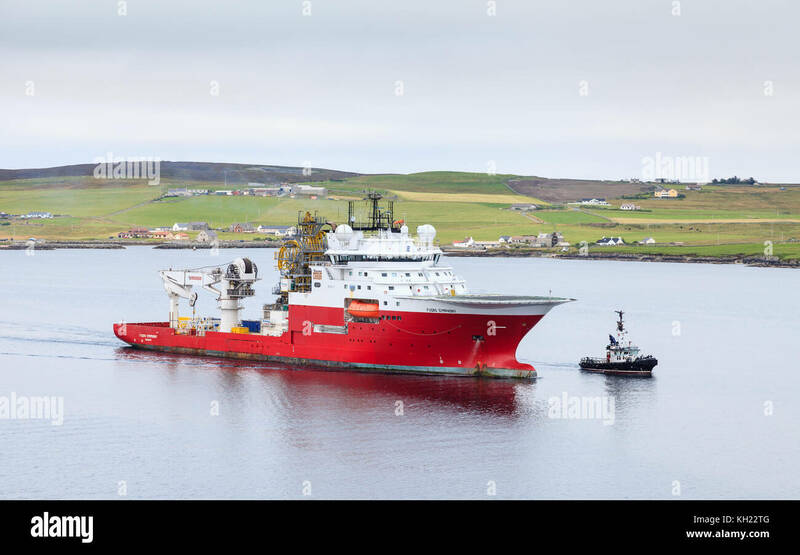 The multi purpose offshore vessel Fugro Symphony departs Lerwick on the Shetland Islands, Scotland. 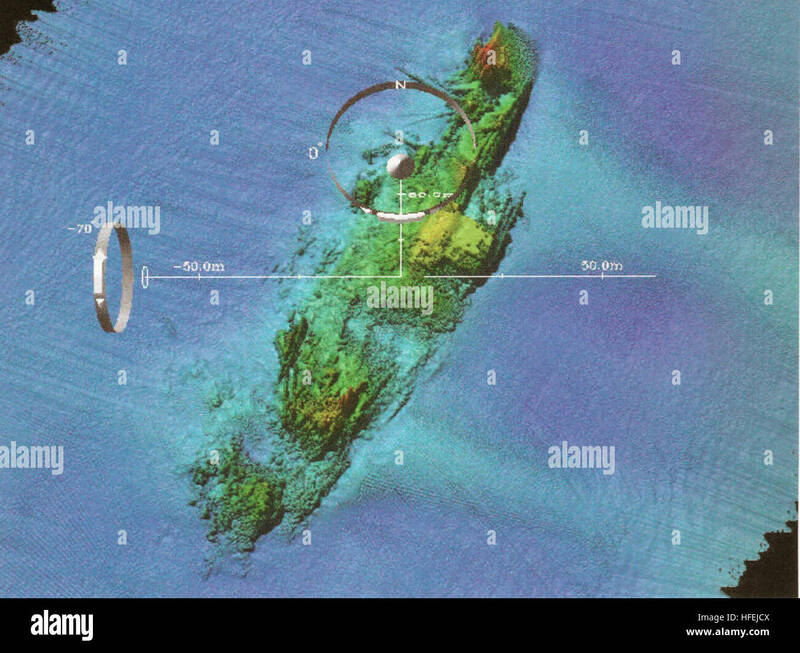 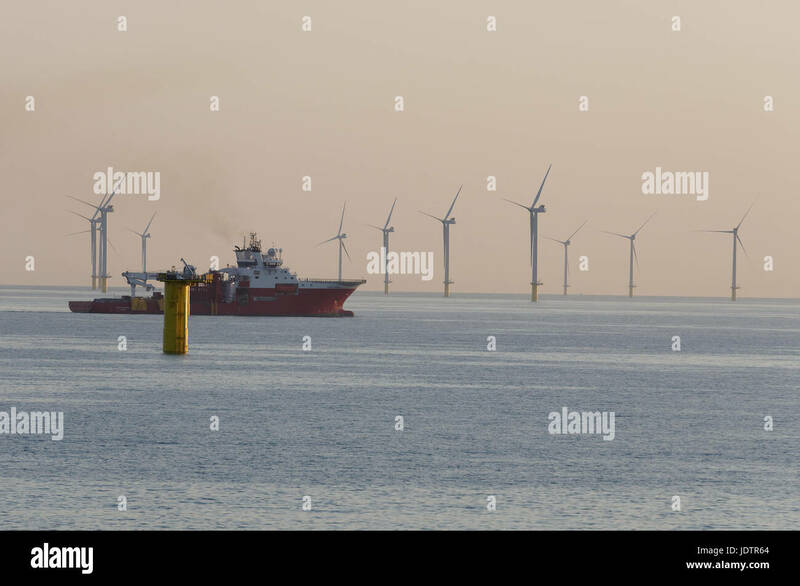 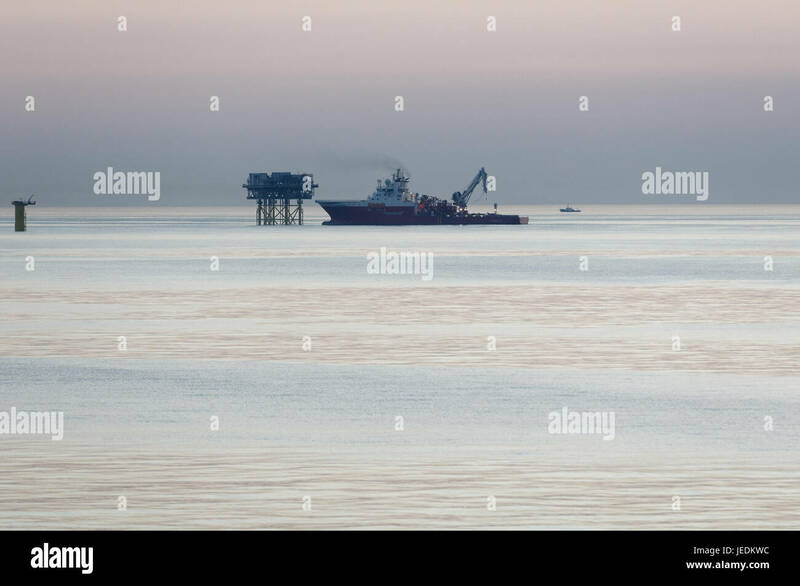 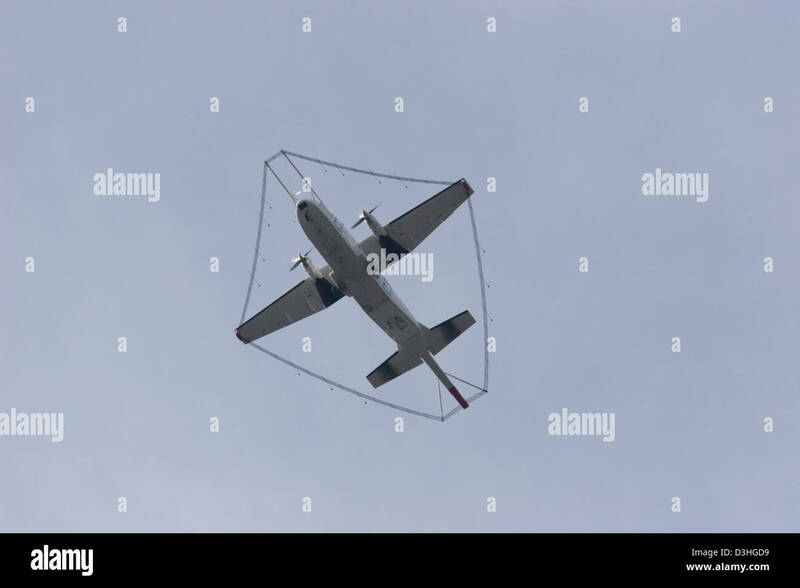 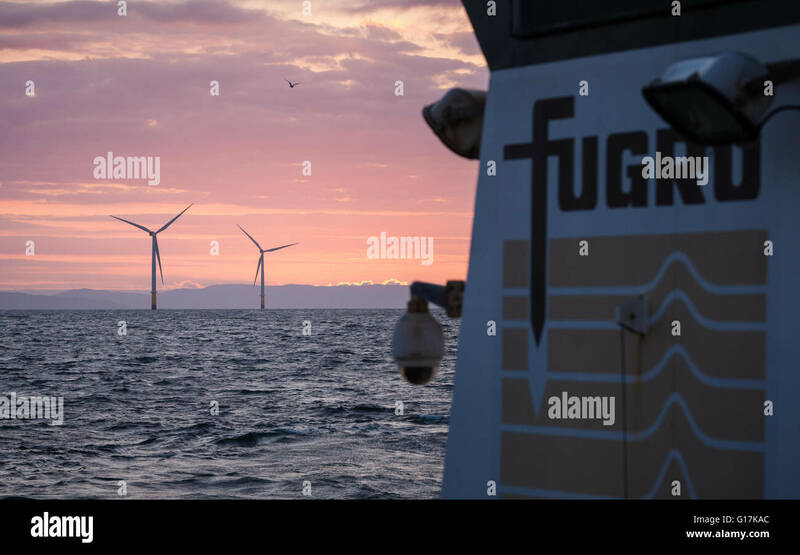 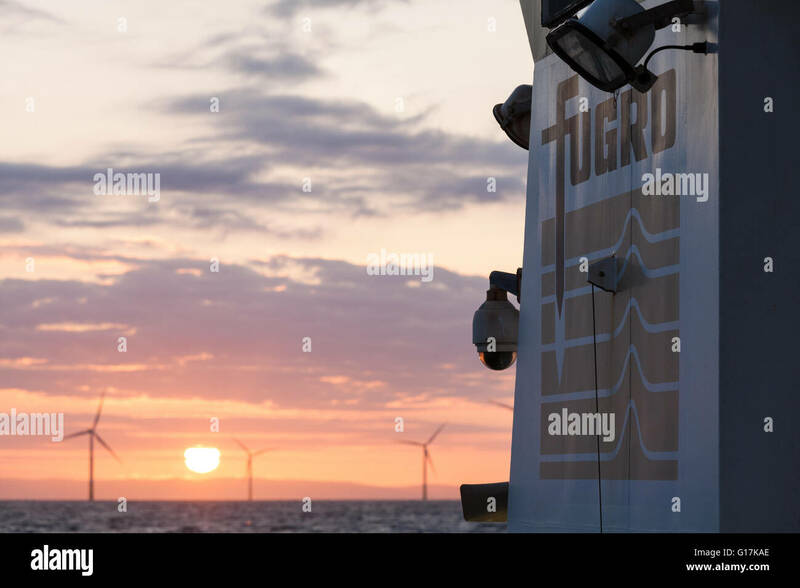 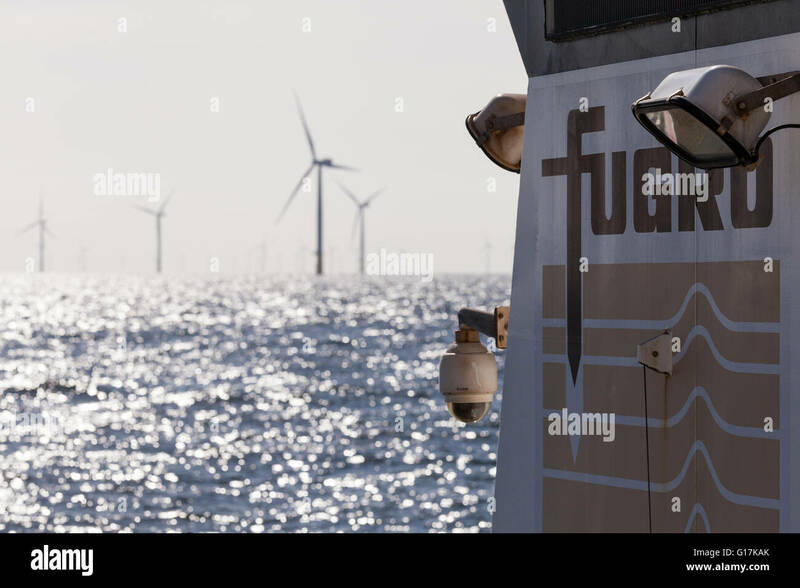 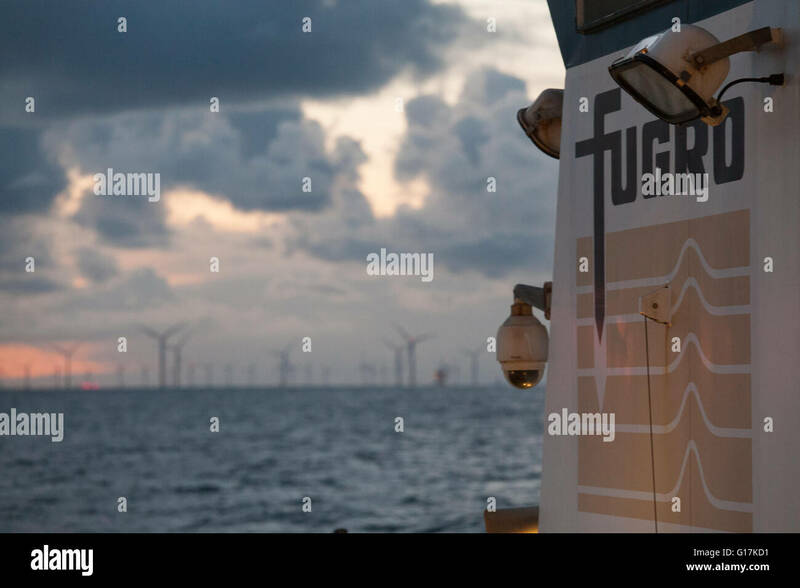 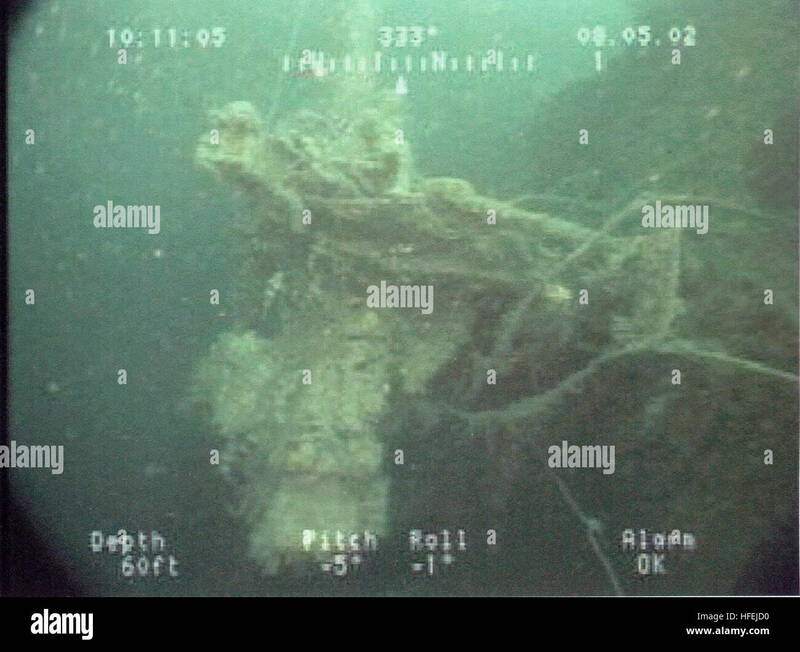 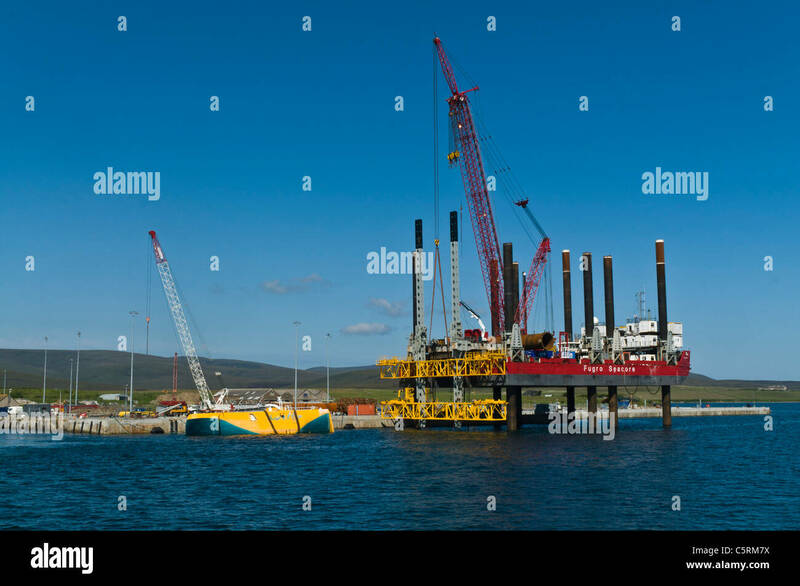 The Fugro Saltire at the Rampion Offshore Windfarm, near Brighton, England. 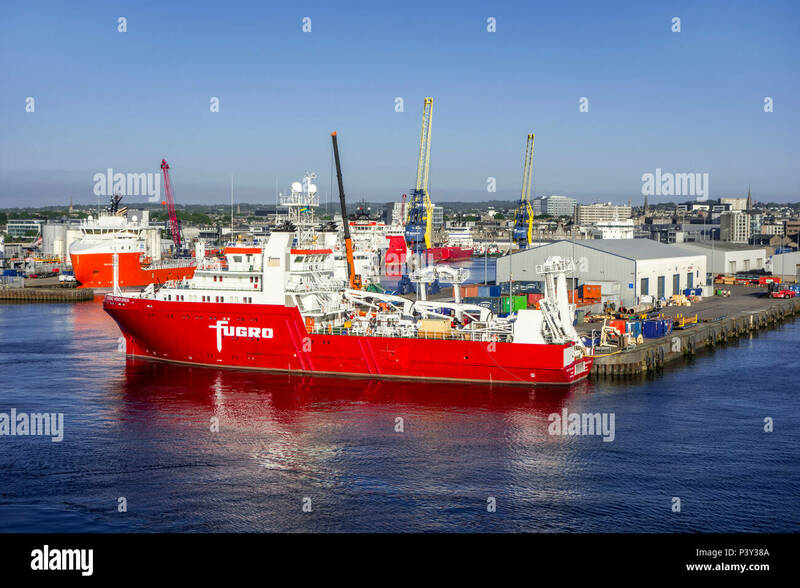 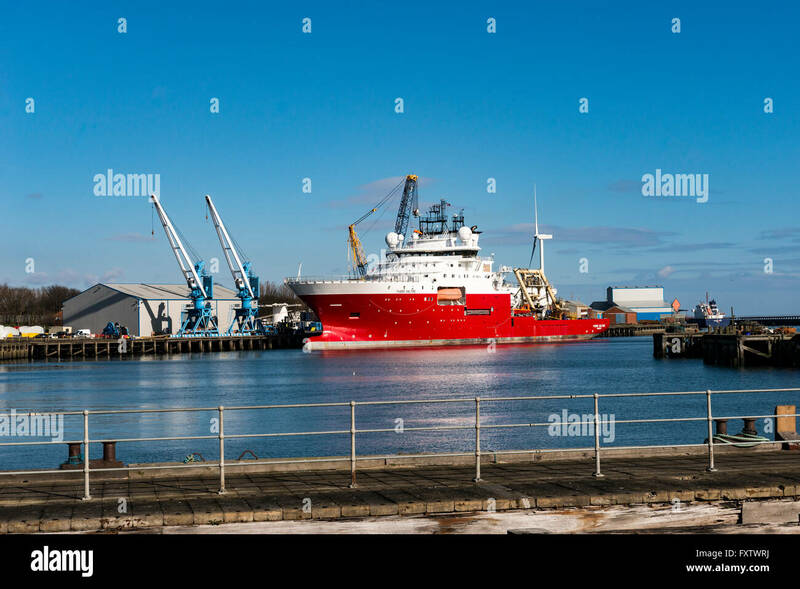 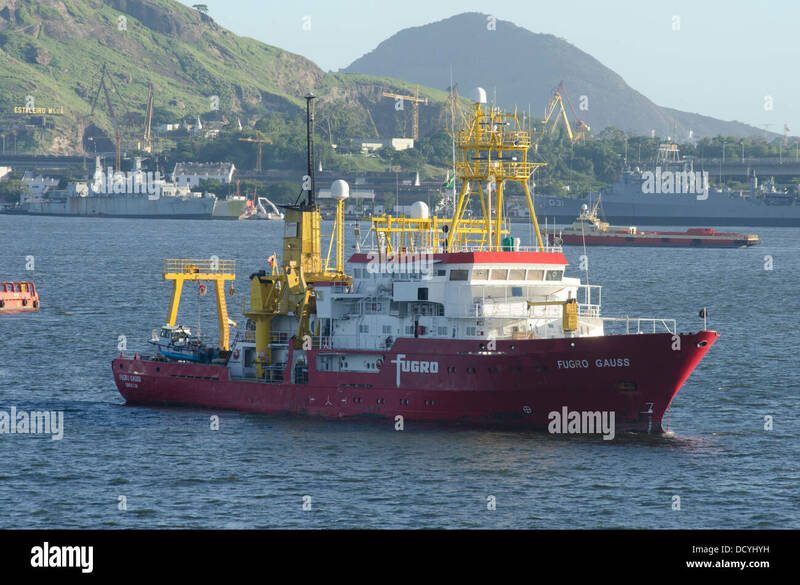 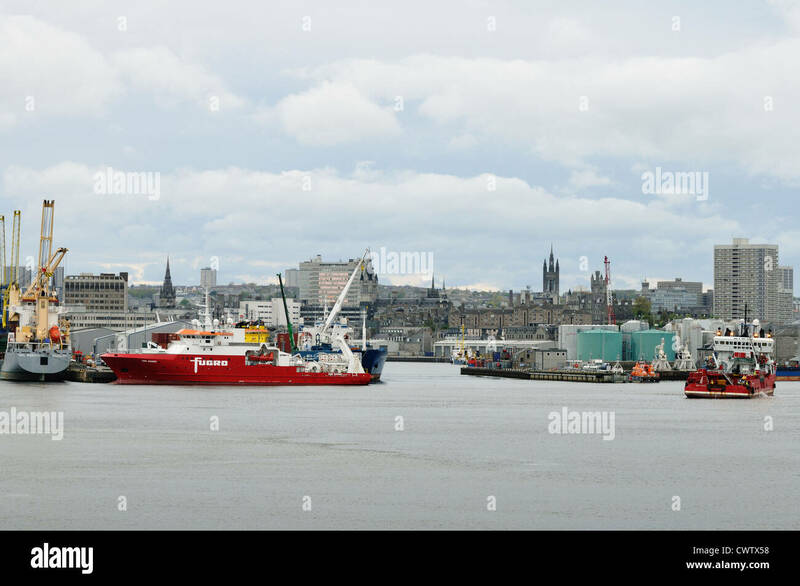 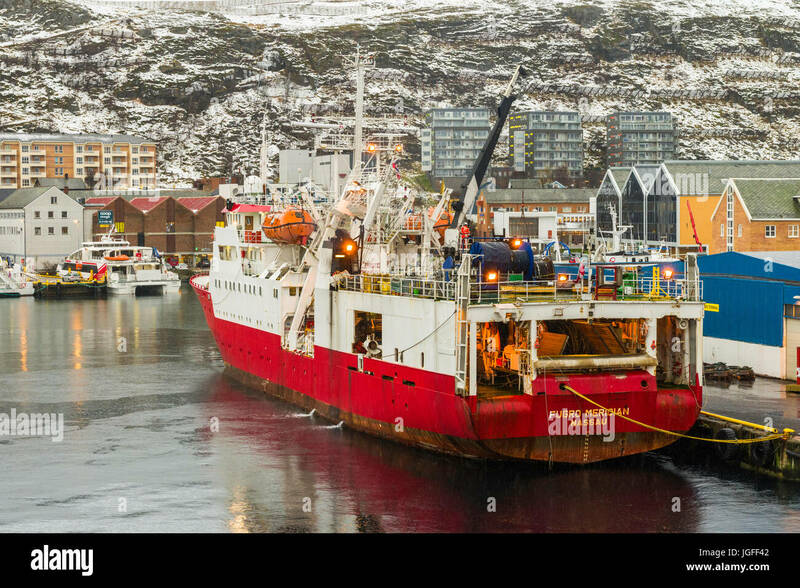 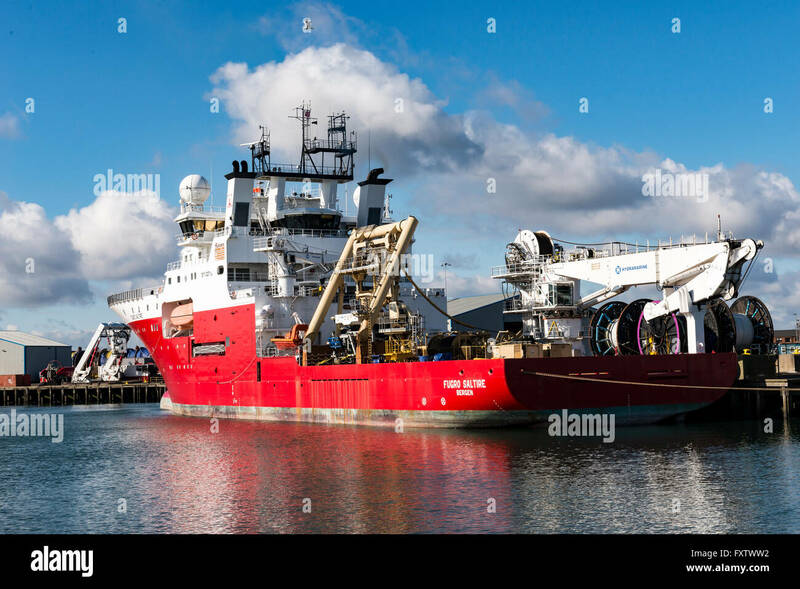 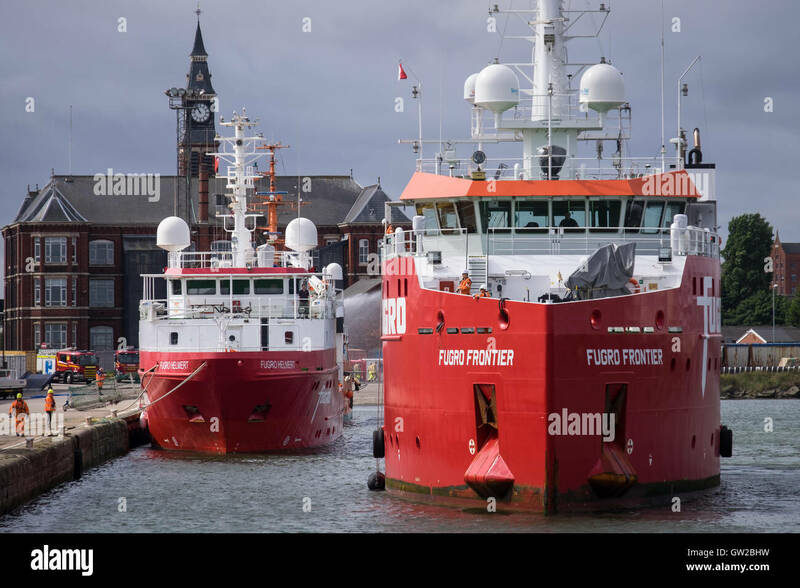 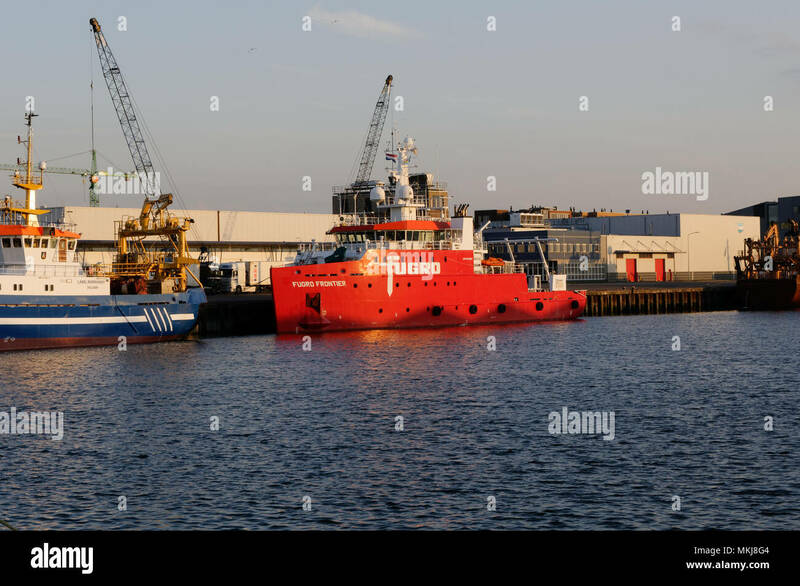 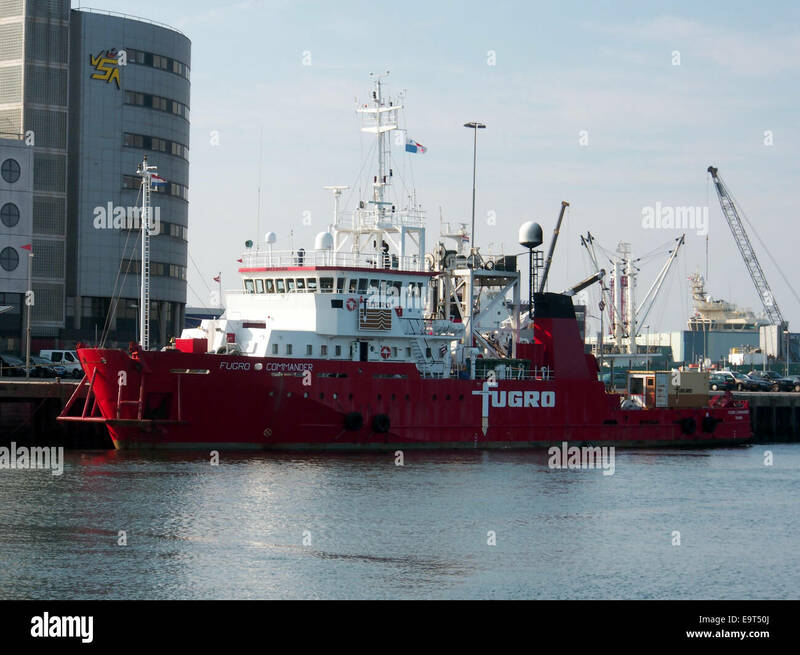 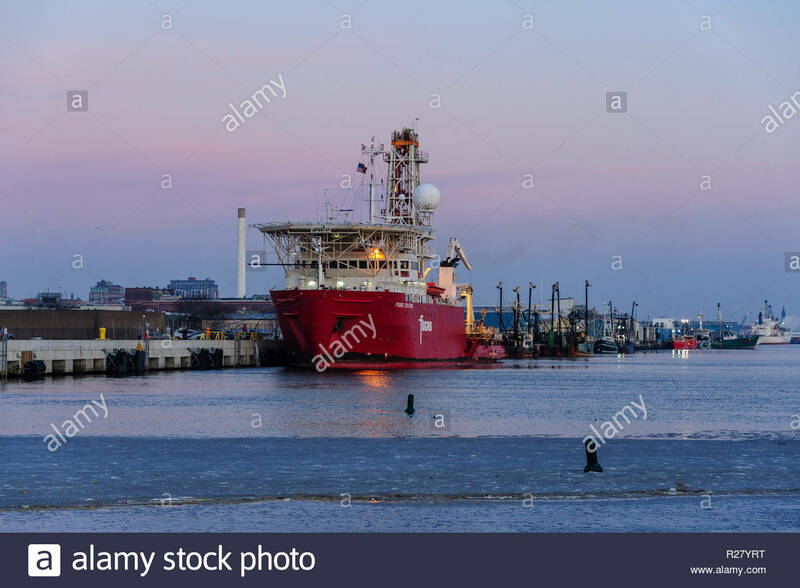 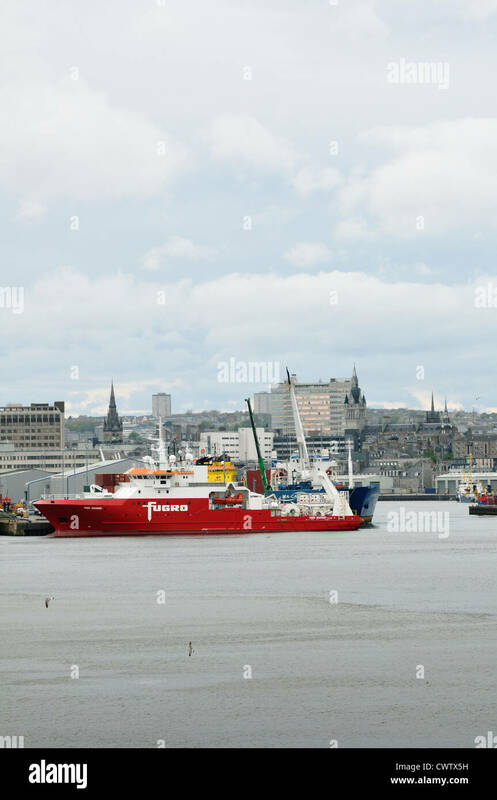 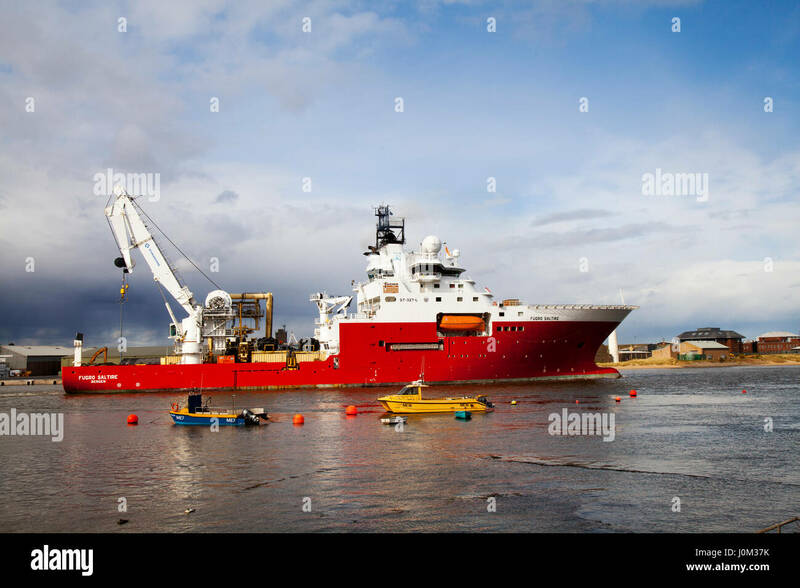 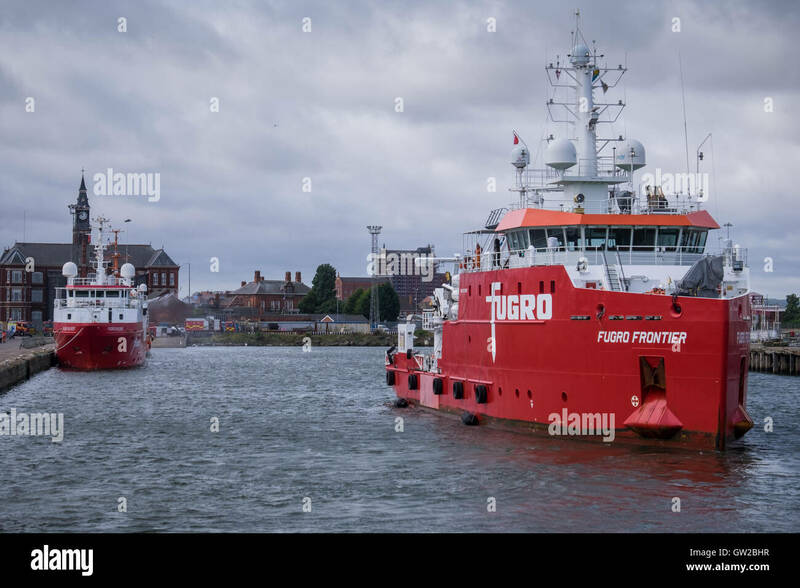 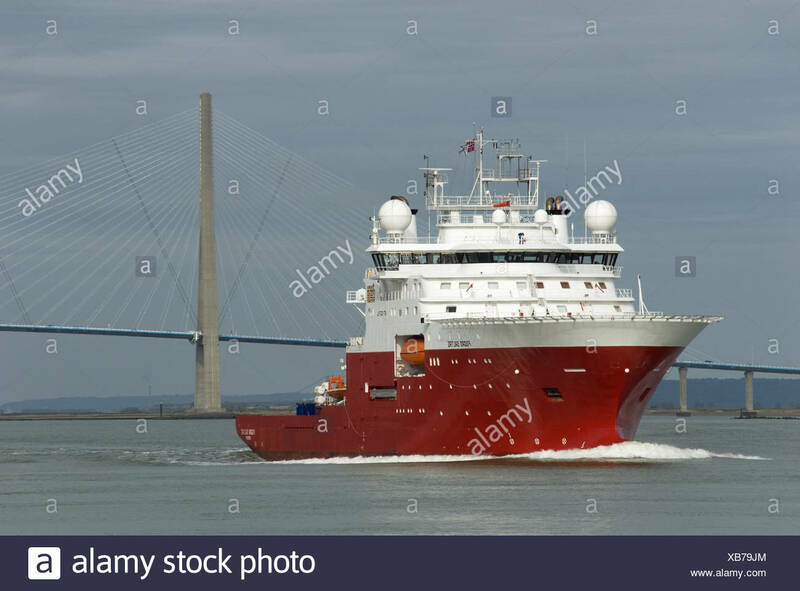 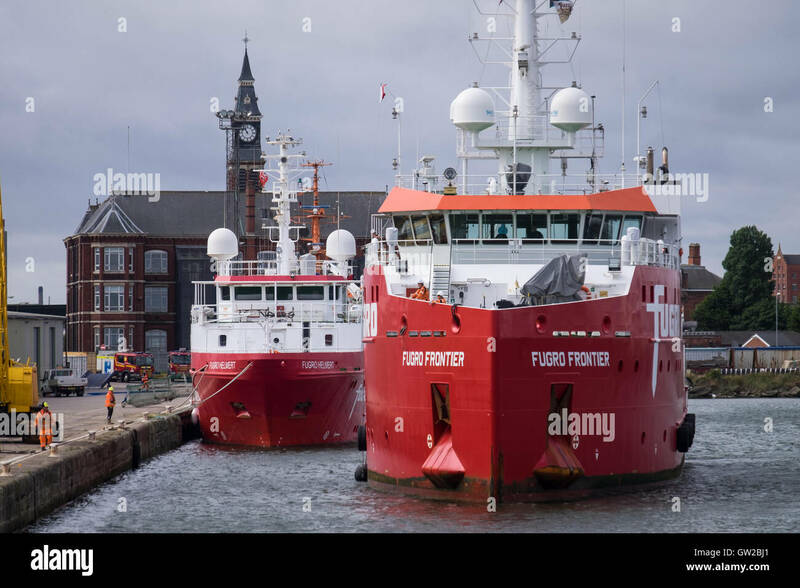 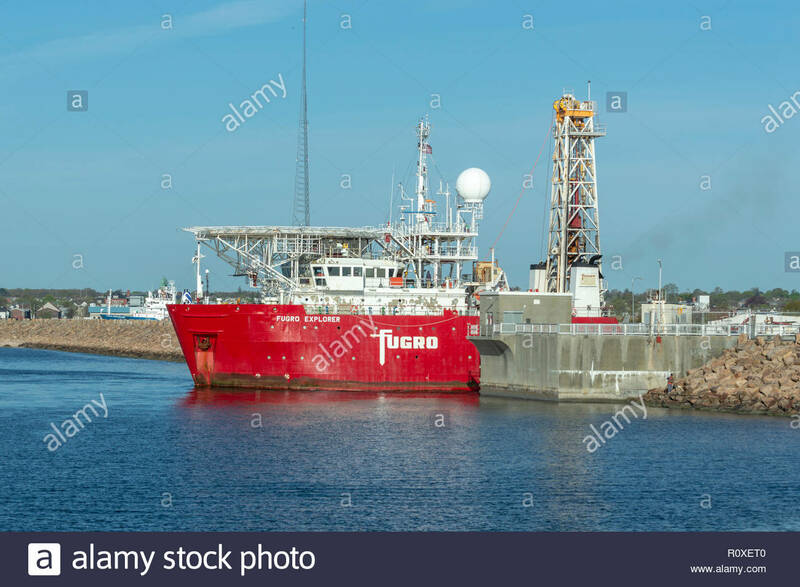 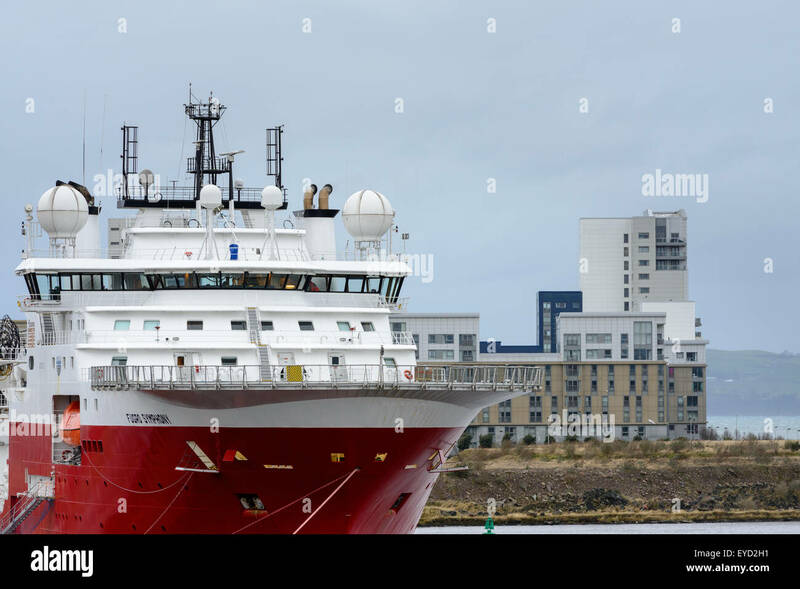 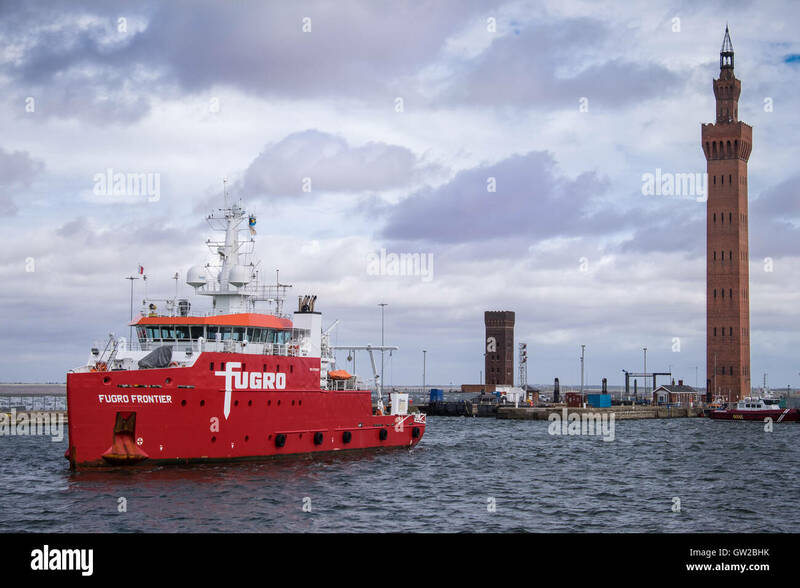 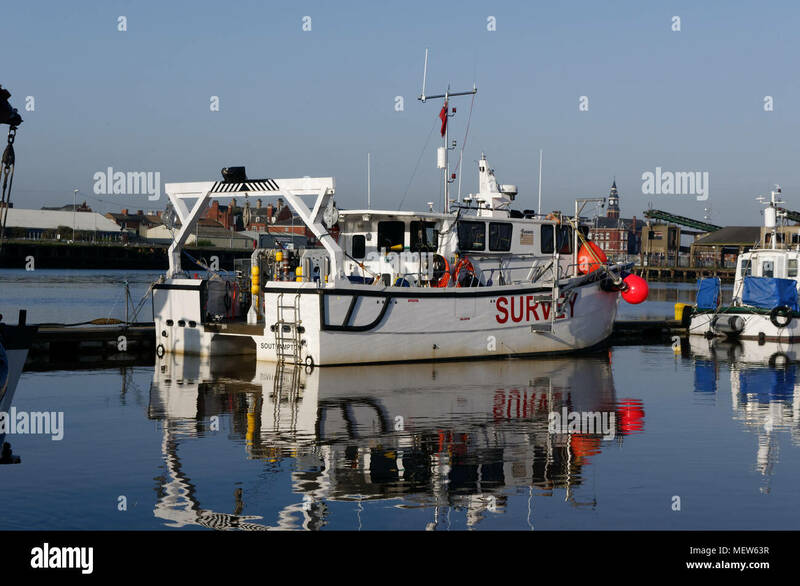 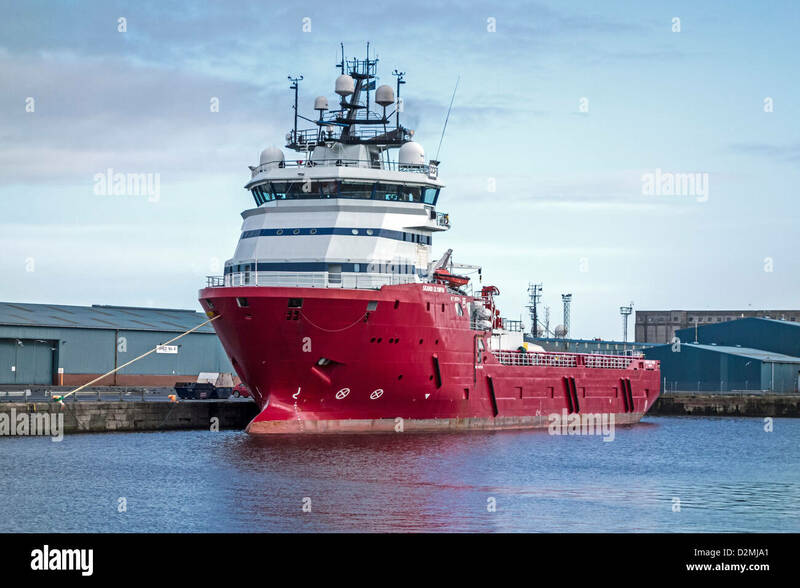 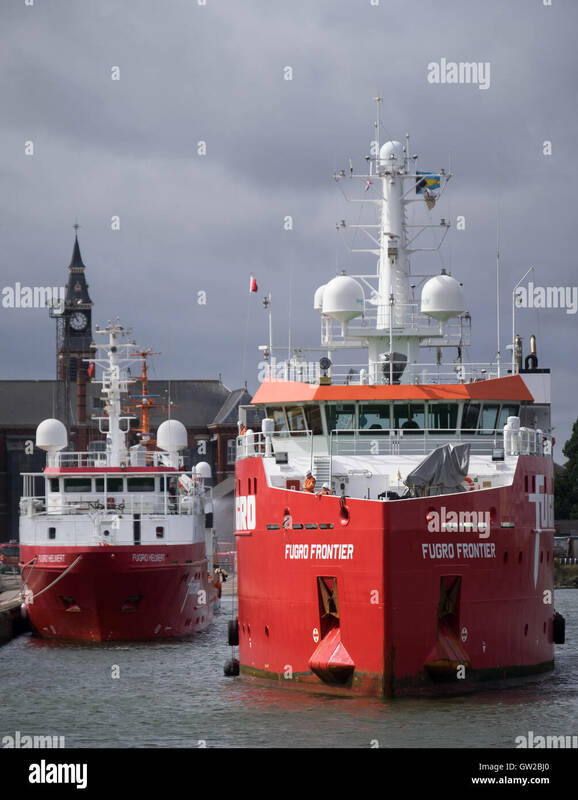 The Fugro Symphony one of Fugro Subsea Services vessels, a purpose built ROV - remotely operated underwater vehicle -support ship at Leith Docks. 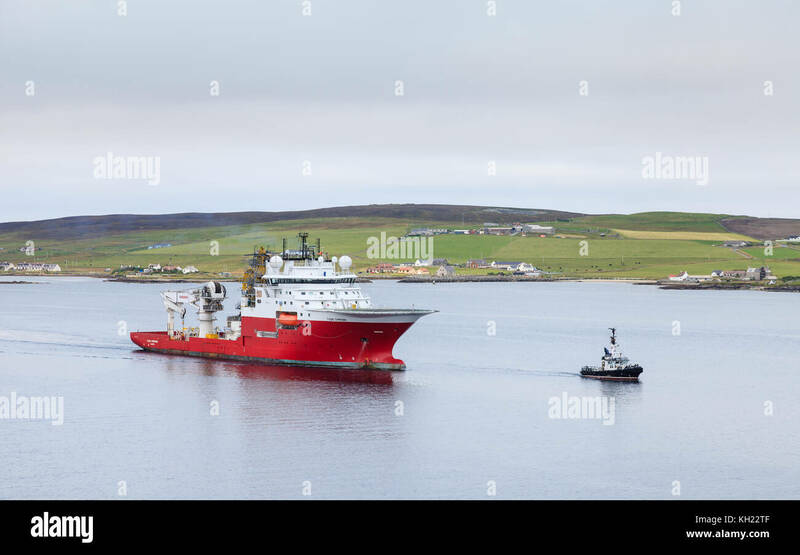 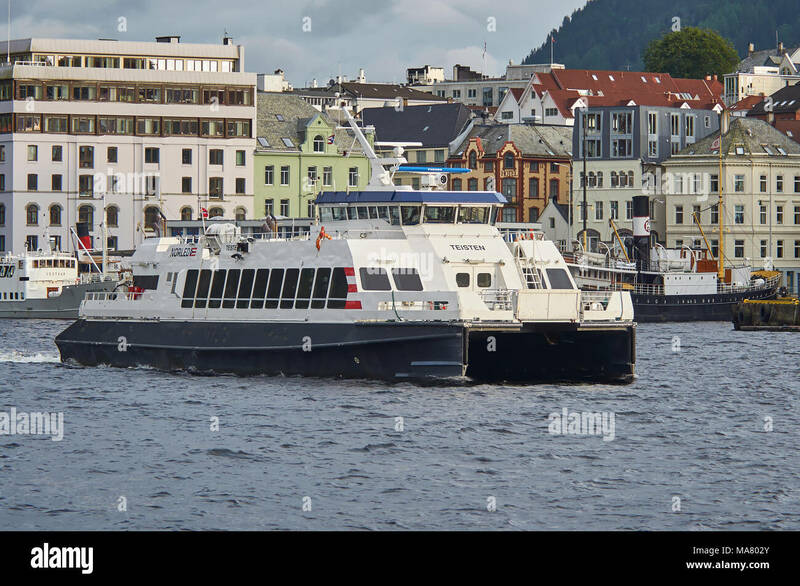 The multi purpose offshore vessel Fugro Symphony is pictured with the pilot boat, Knab off Lerwick on the Shetland Islands, Scotland. 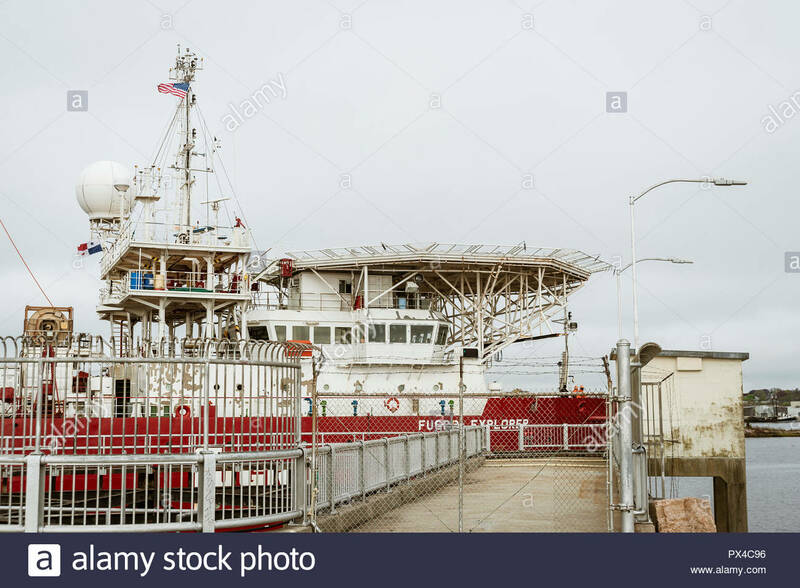 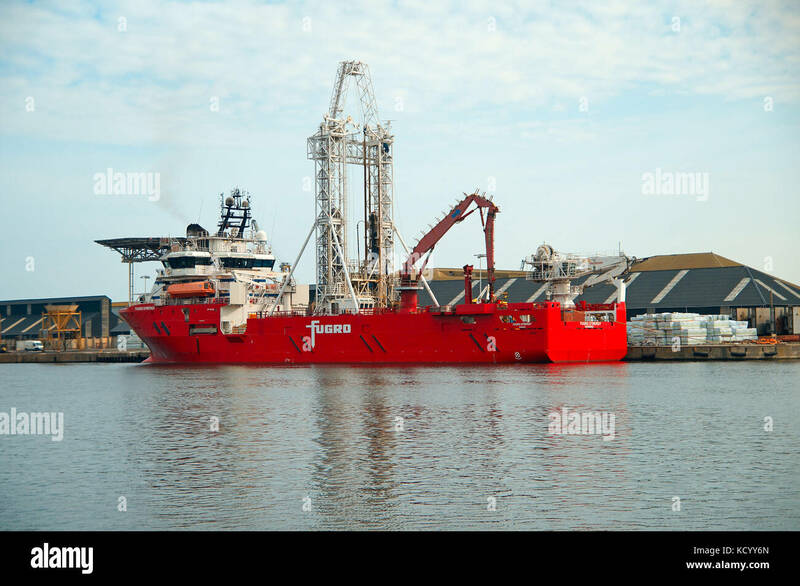 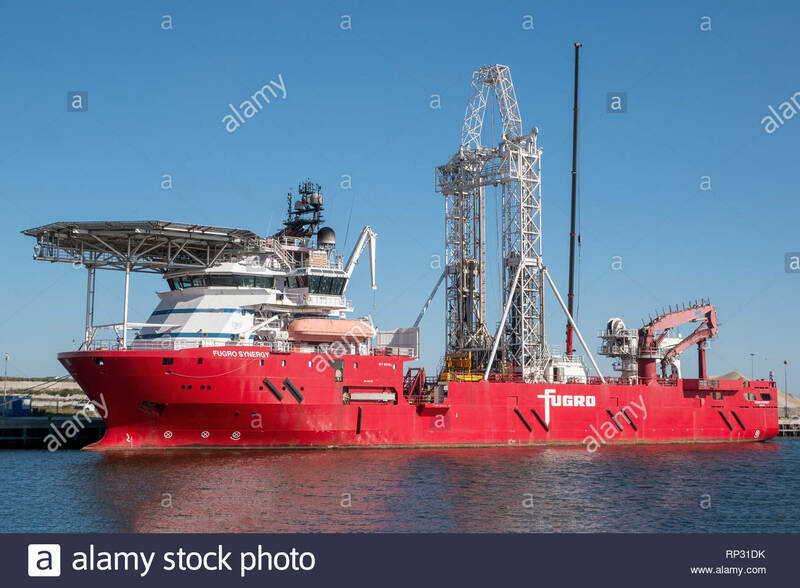 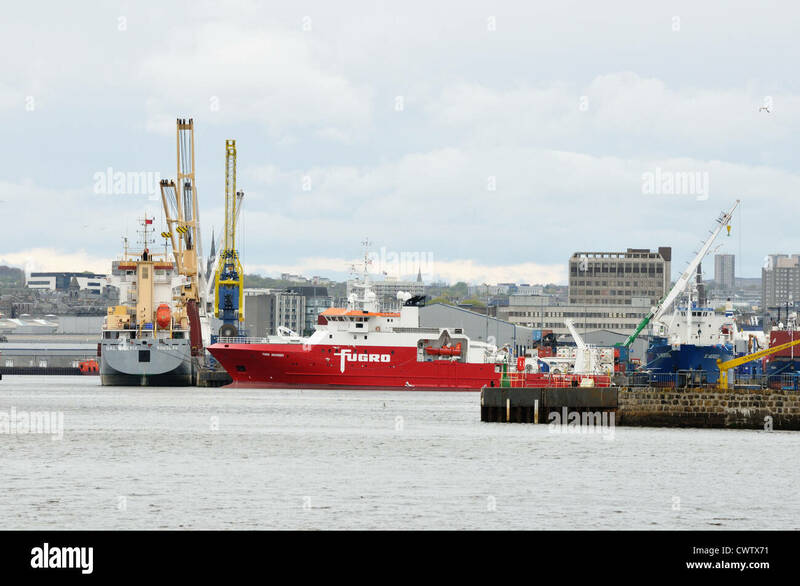 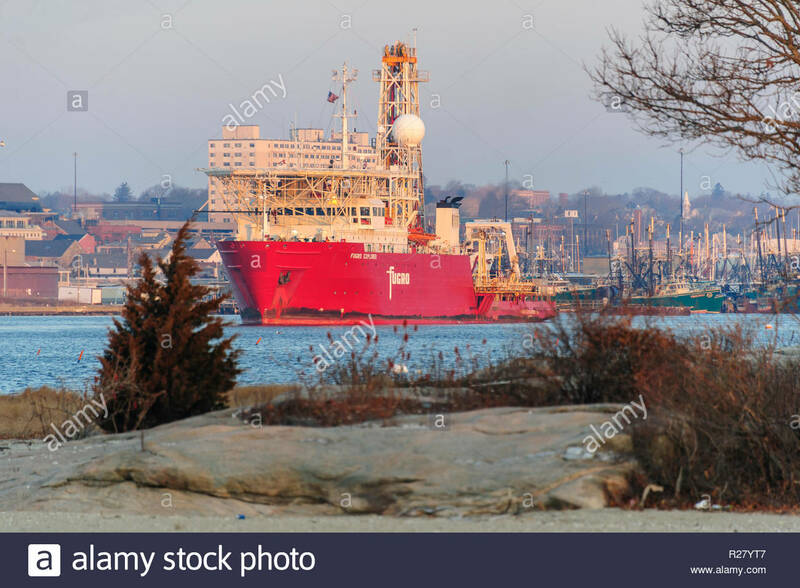 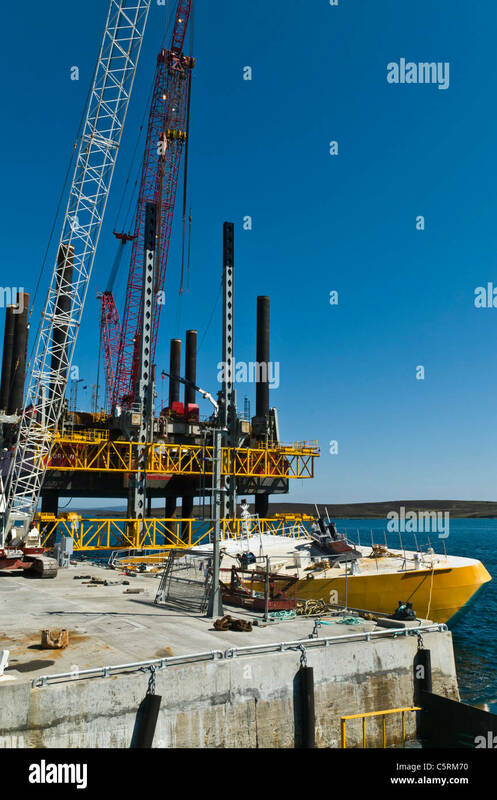 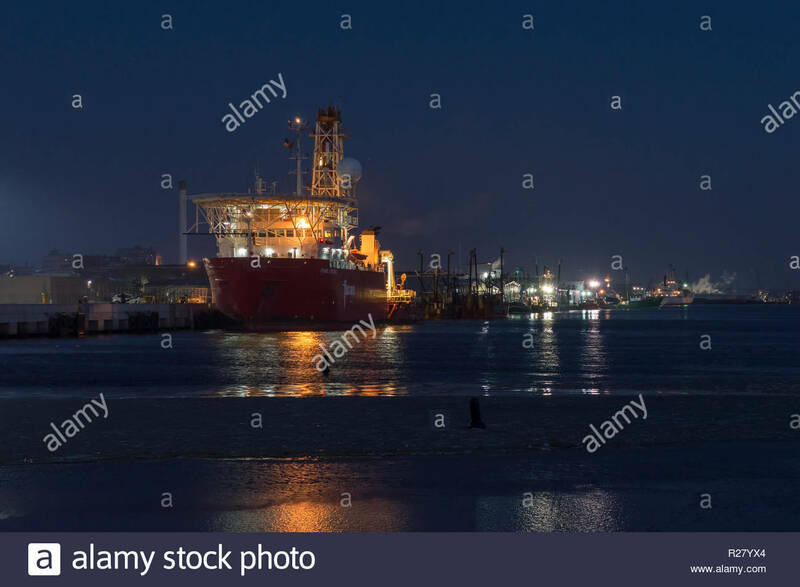 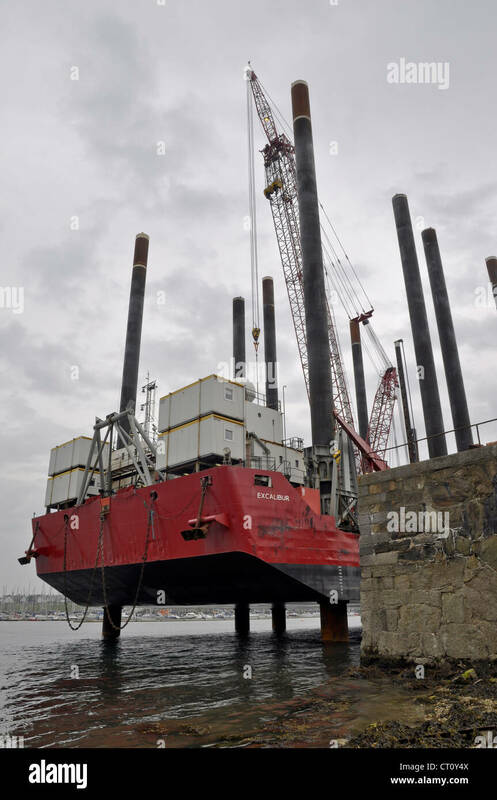 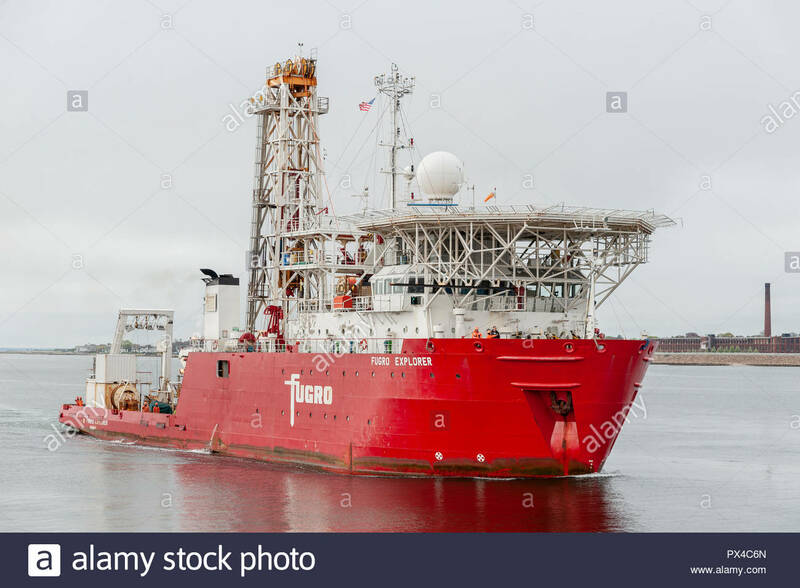 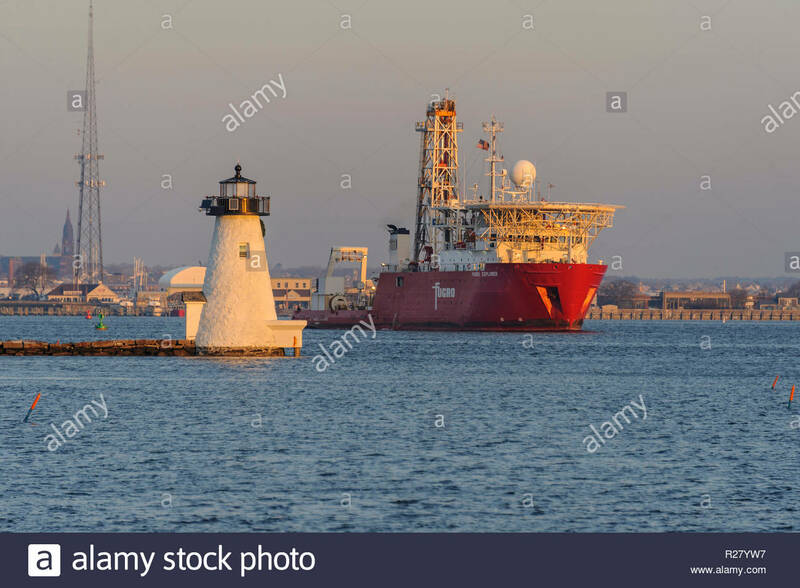 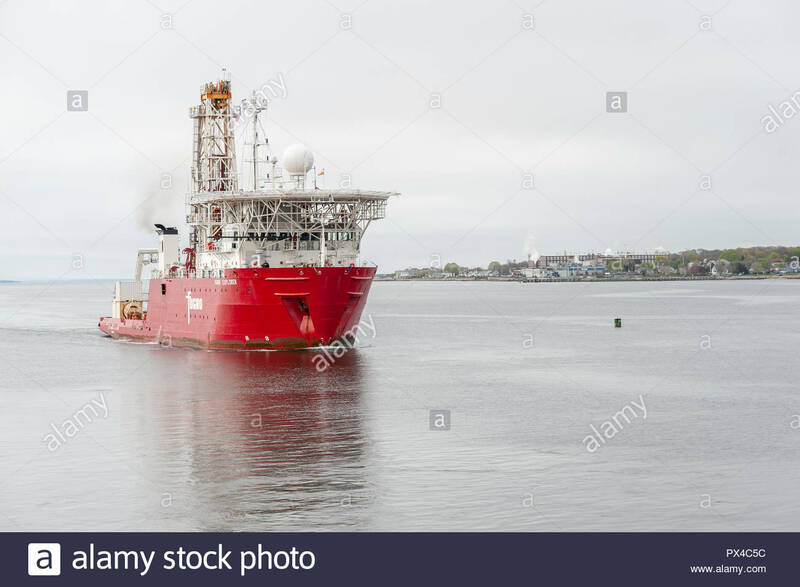 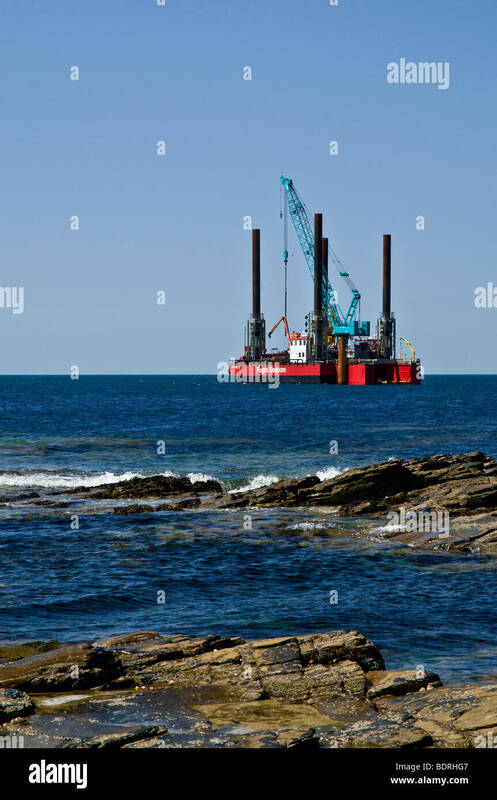 New Bedford, Massachusetts, USA - May 10, 2018: Geotechnical drilling ship Fugro Explorer approaching New Bedford from Buzzards Bay. 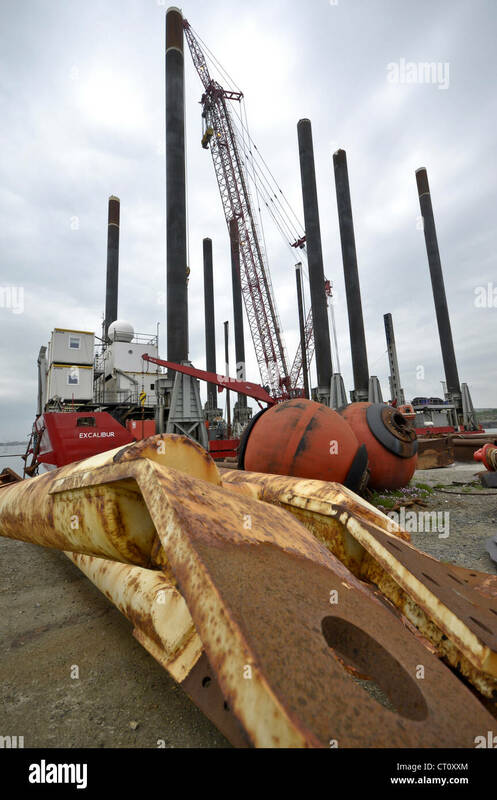 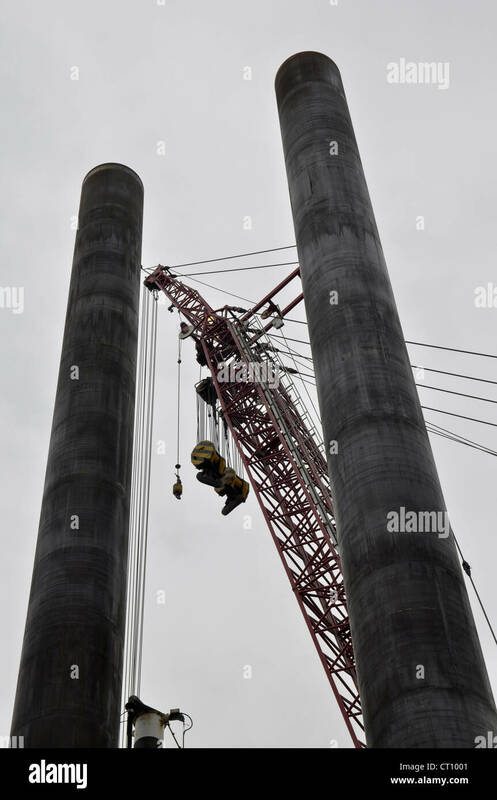 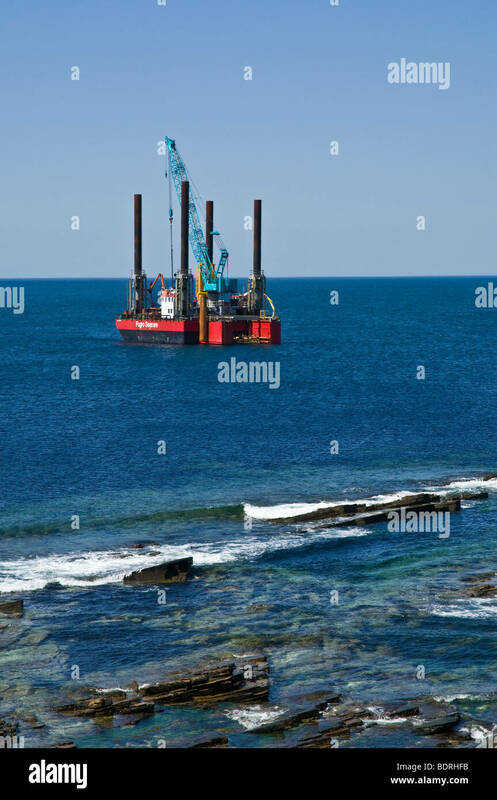 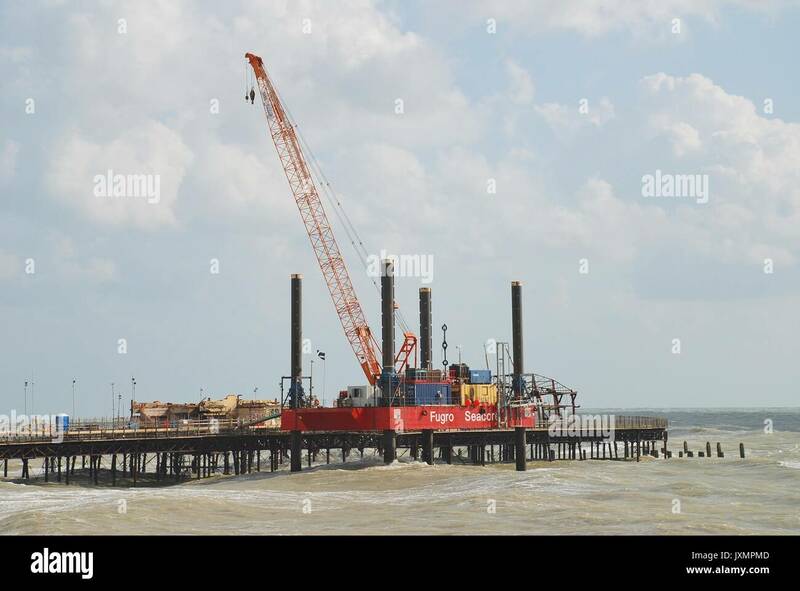 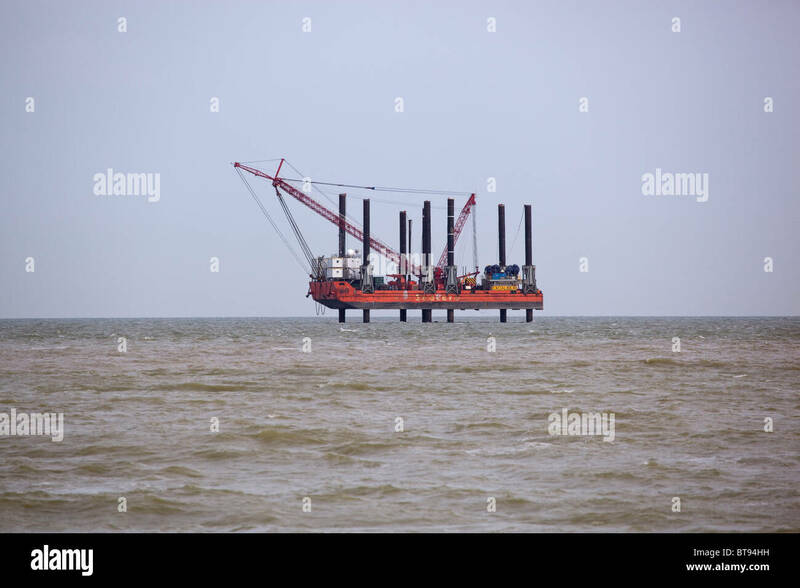 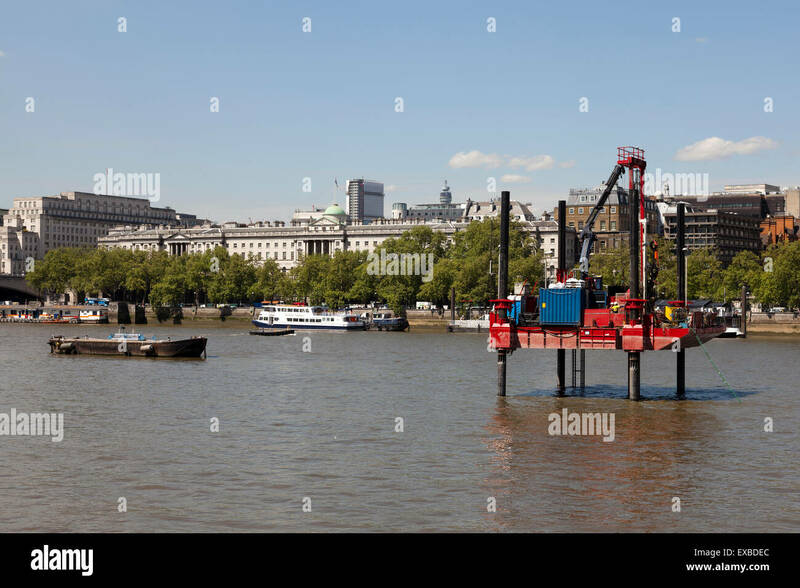 A crane on a jack-up-barge being used to demolish burnt out building remains on the Victorian pier in Hastings, England on November 9, 2014. 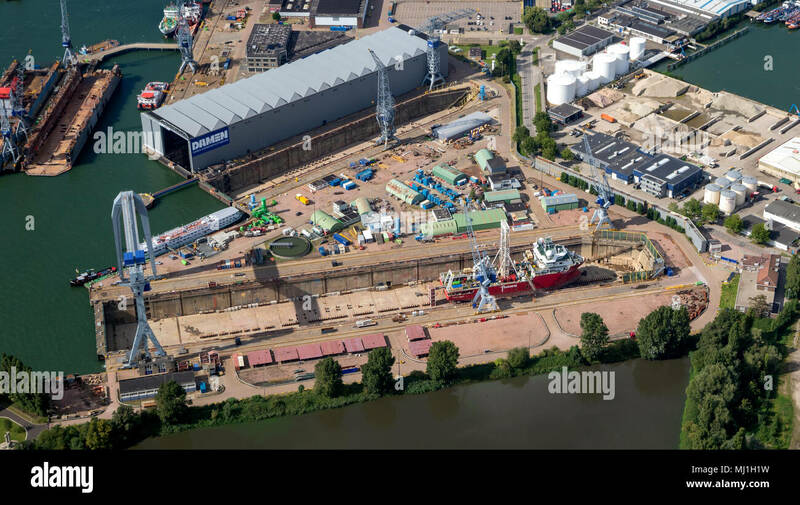 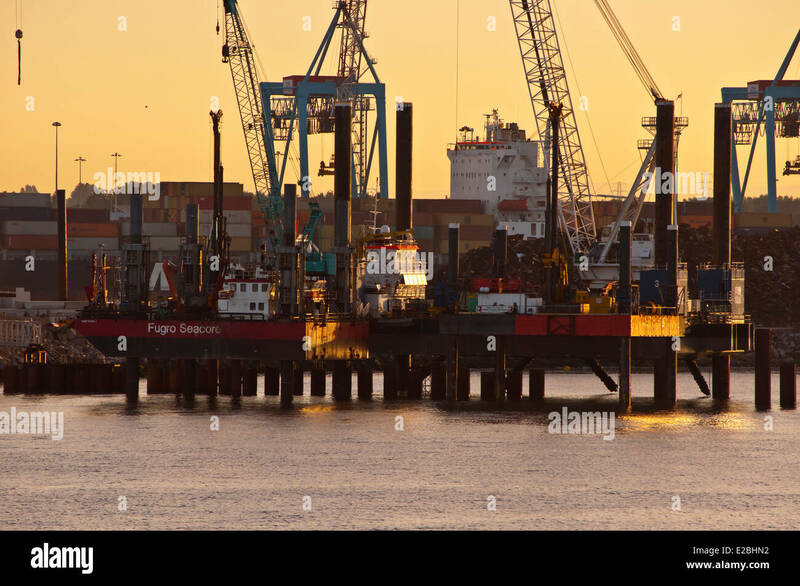 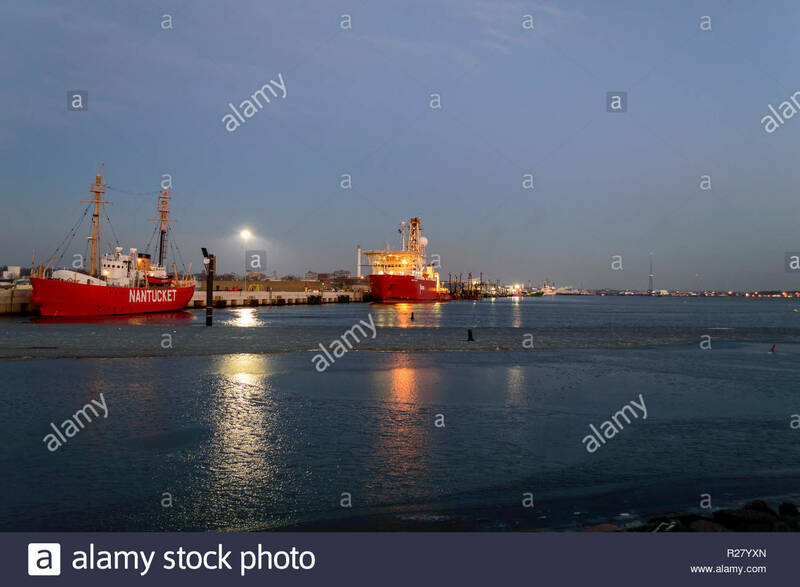 ROTTERDAM, THE NETHERLANDS - SEP 2, 2017: Aerial view of a ship in a repair dry dock in the industrial port of Rotterdam. 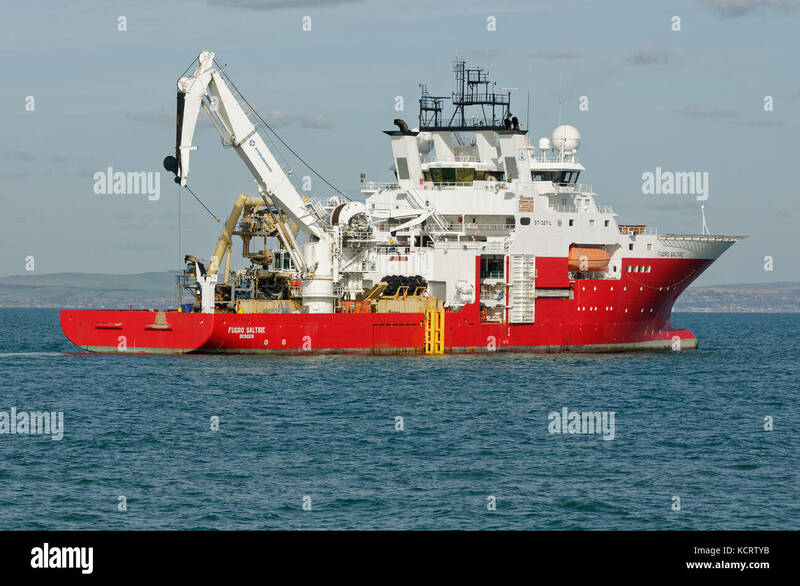 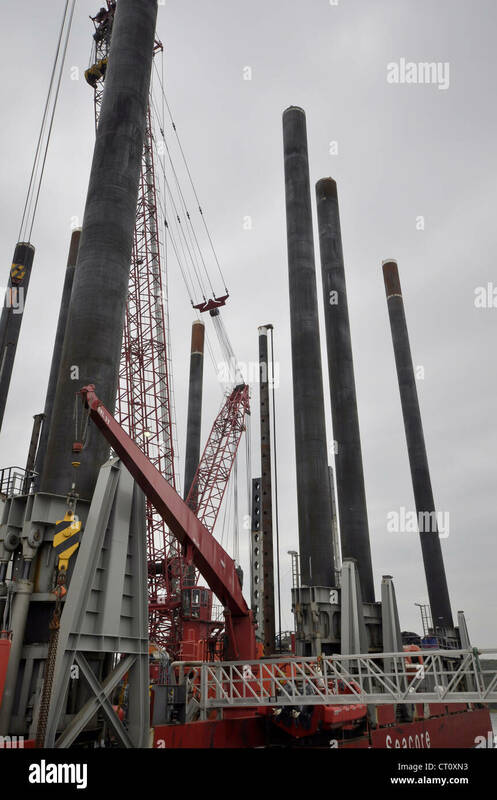 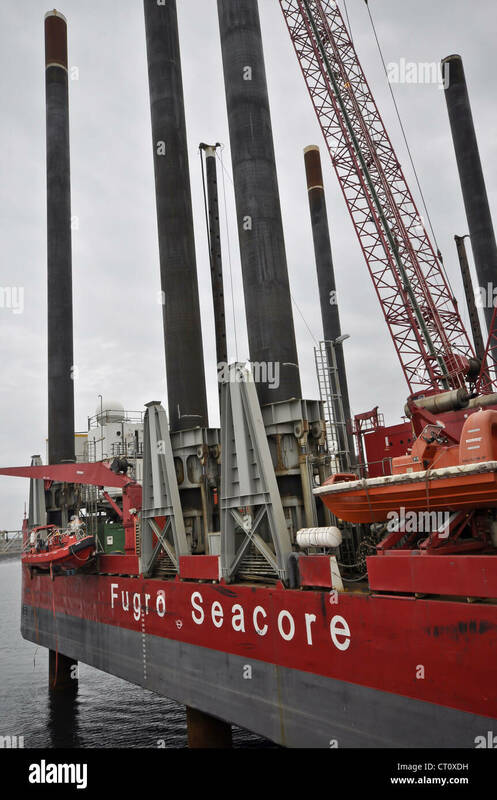 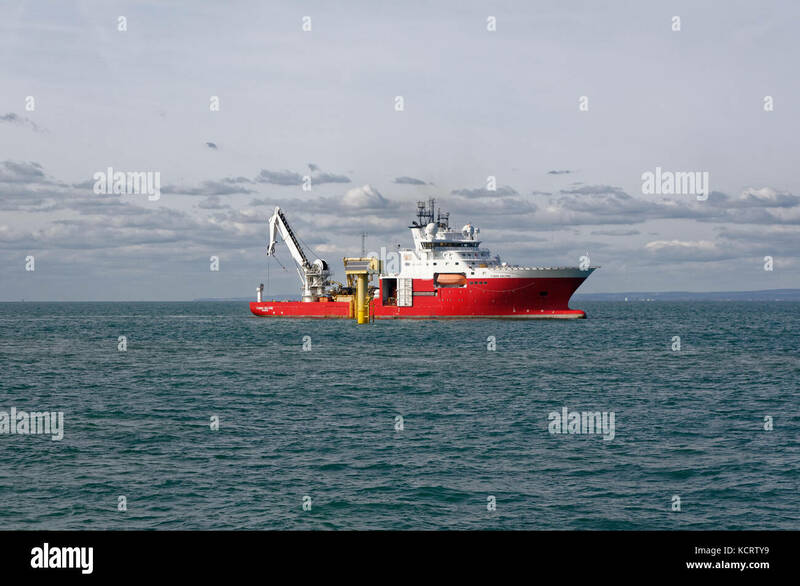 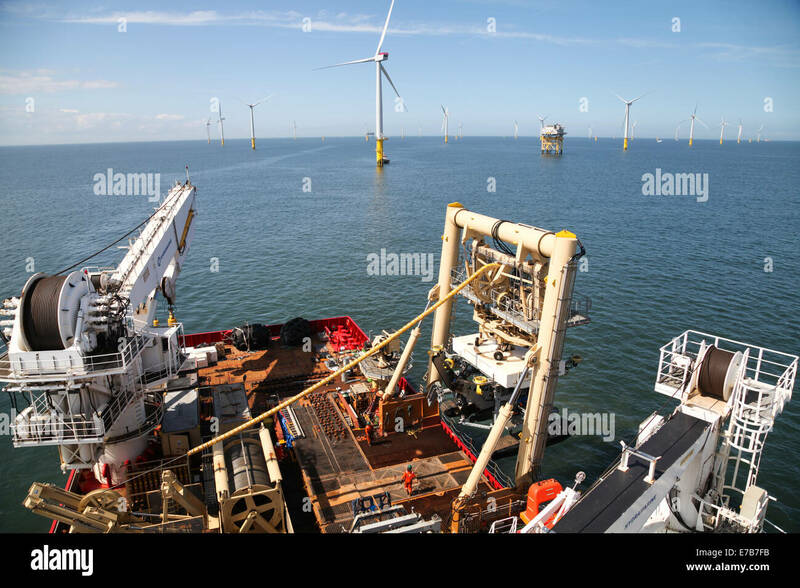 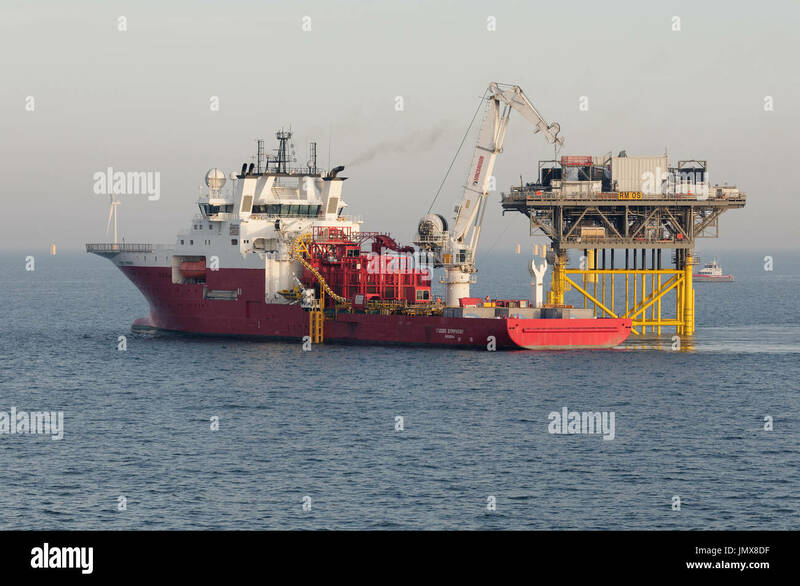 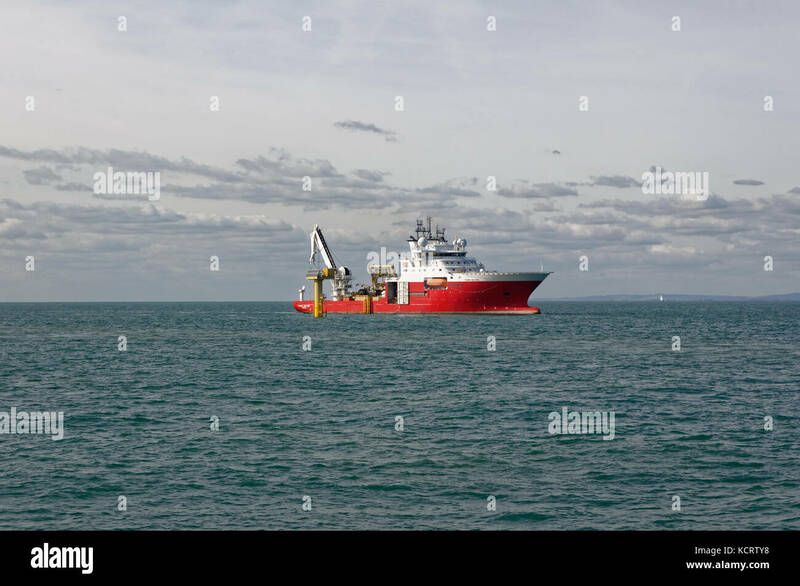 The Fugro Symphony construction vessel installing submarine export cables at the Rampion Offshore Windfarm, England.